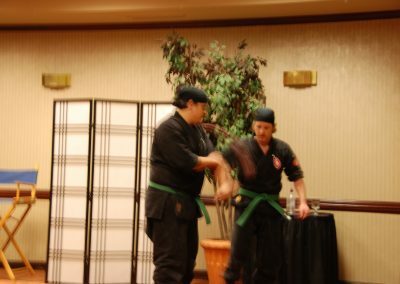 If you look below there are lots of pictures from other events and you can see what our events are like. 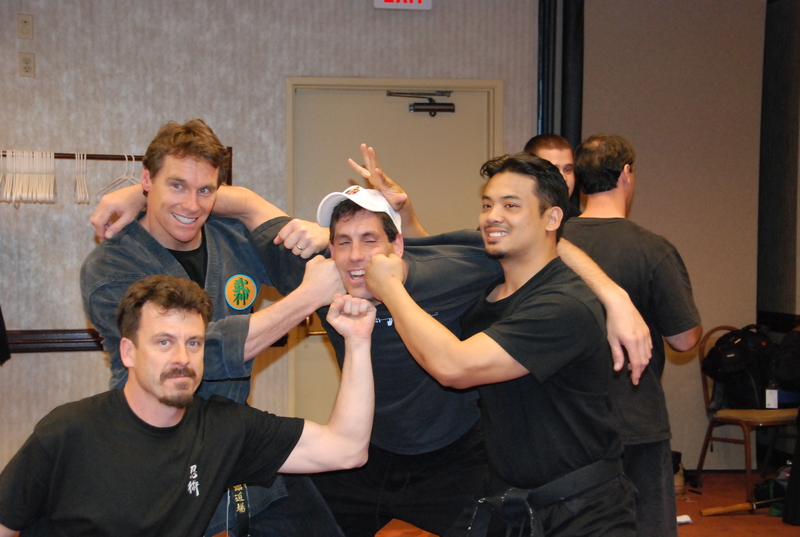 SOLD OUT- Look for new events and sign up soon! 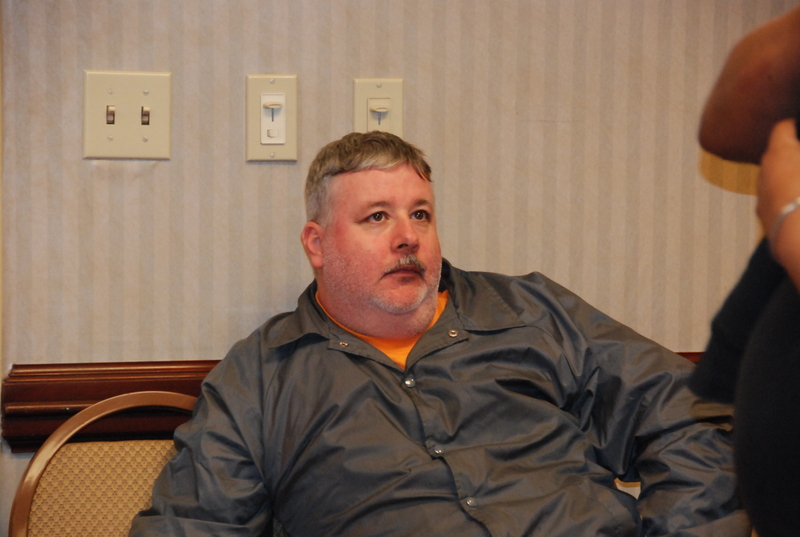 We will be updating more detailed information as we get closer. 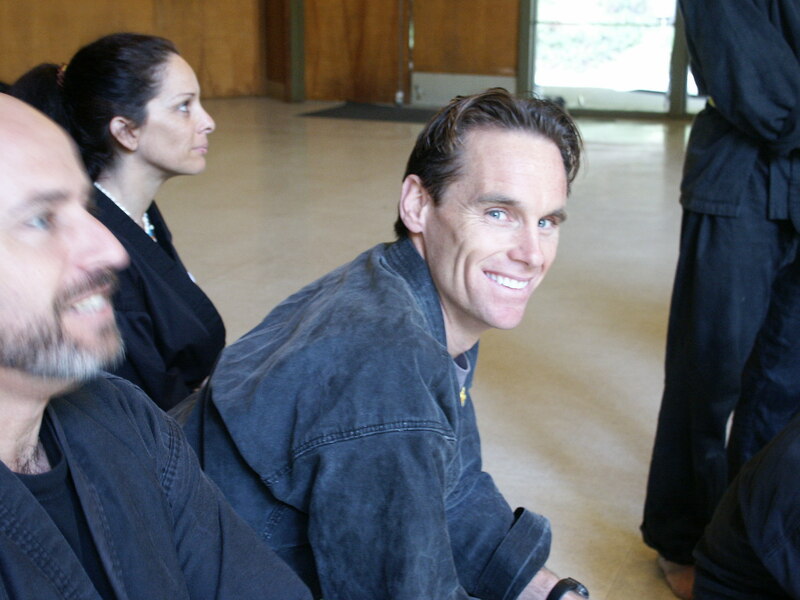 Sign up now as we have limited space this year and we love having intimate events so that we can go deeper together. 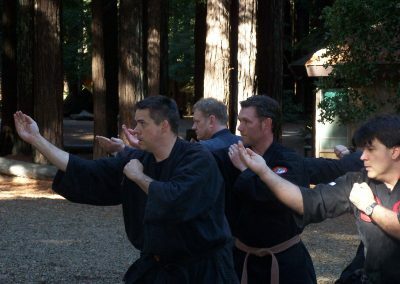 BUSHINDO EVENT- Calling All Ninjas! 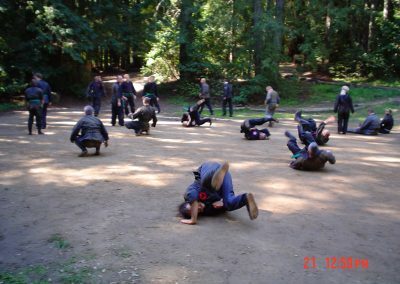 Eskrimadors! 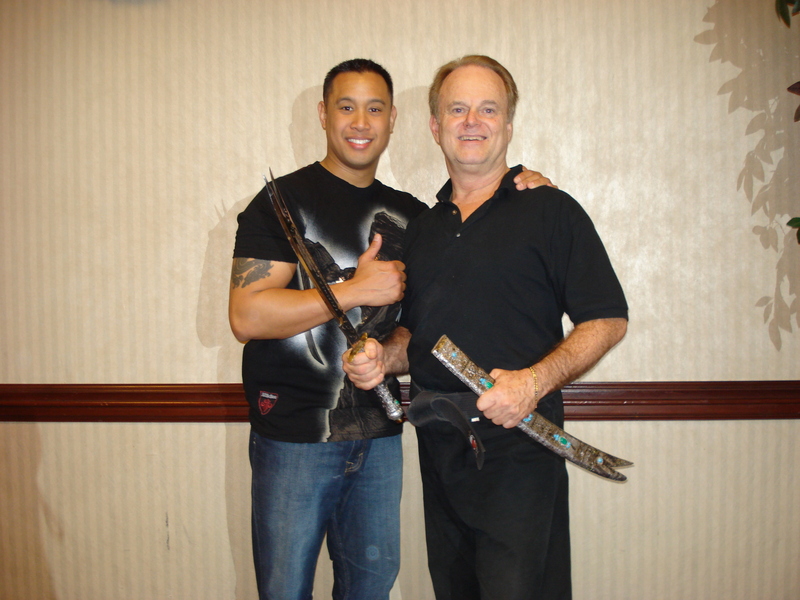 Sword Enthusiasts! 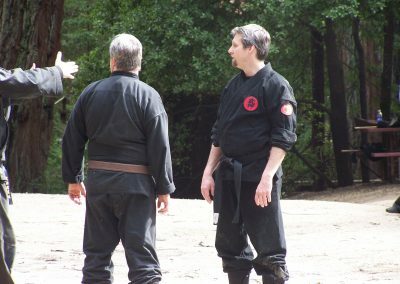 Taijutsu Lovers! 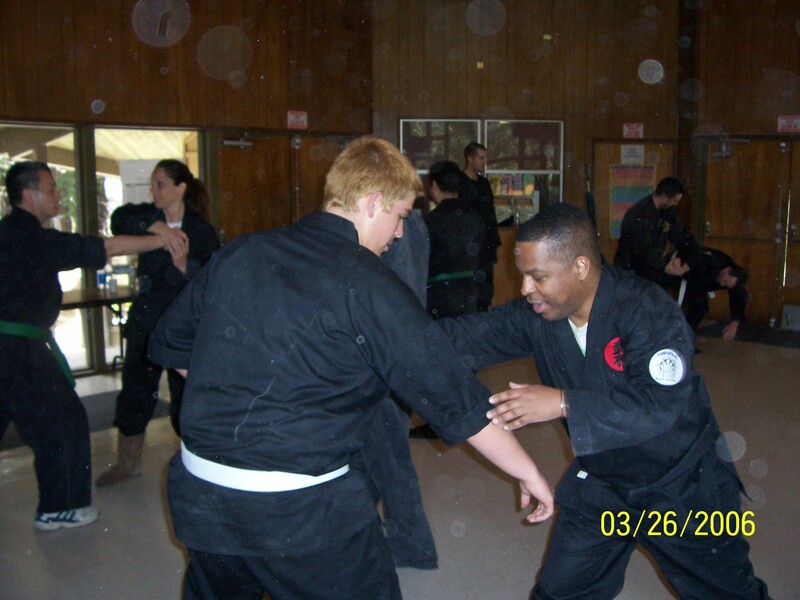 Young or old, super skilled or brand new to the arts you are welcome. 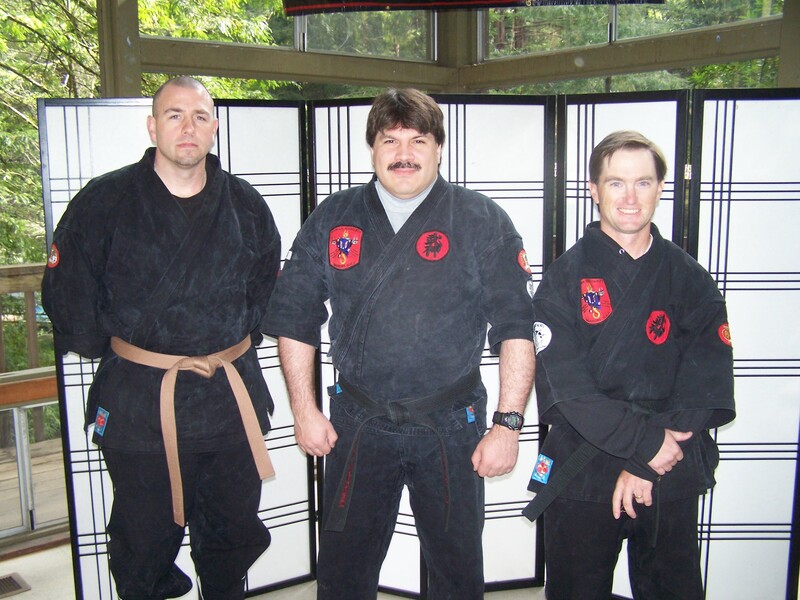 Affiliated or non- affiliated with us. 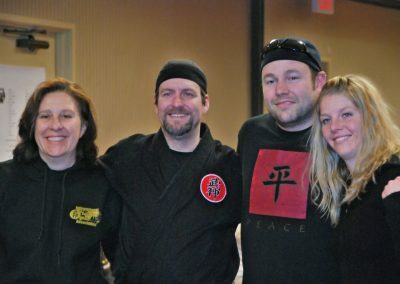 We would love to have you come join us!! 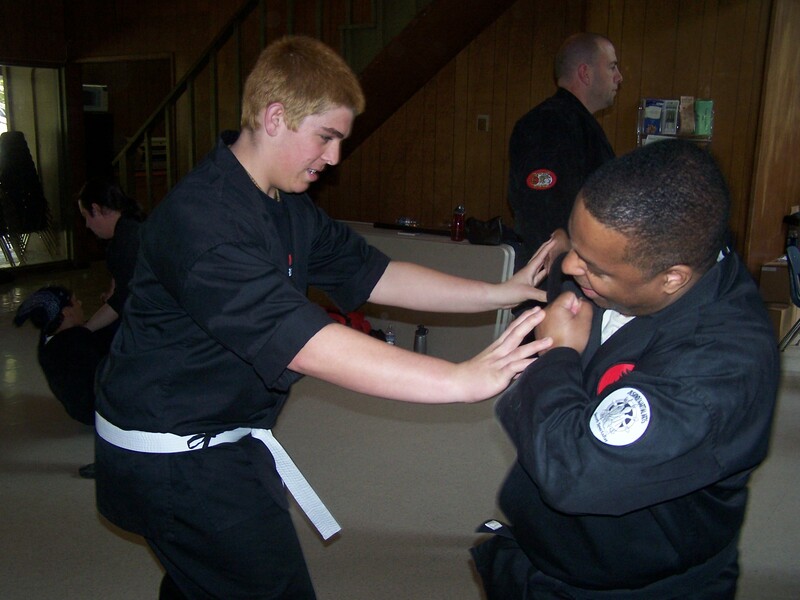 Our desire is to inspire, educate you with high level skill while encouraging you to be the best you possible. 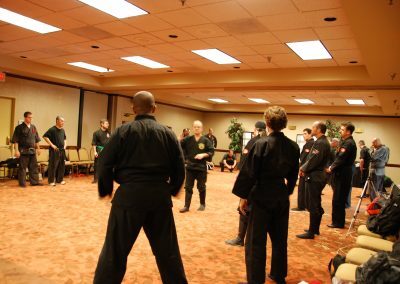 There will be students at every level from brand new beginner to Grandmasters. 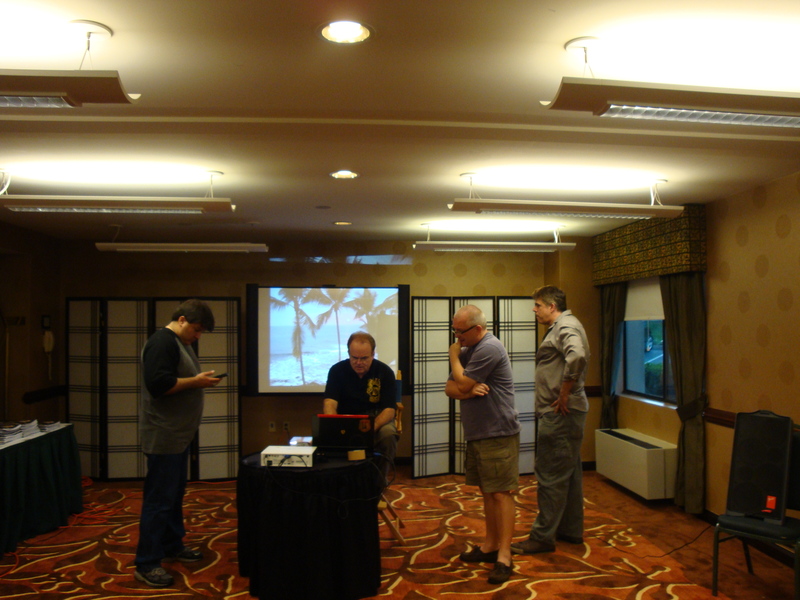 We keep our events small so that we can all interact and get to know each other. Everyone helps everyone else out at our trainings. 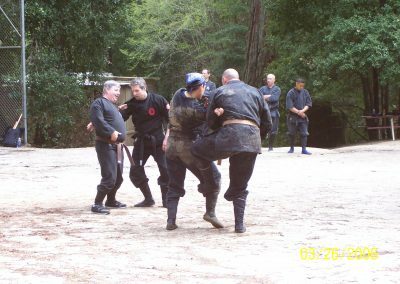 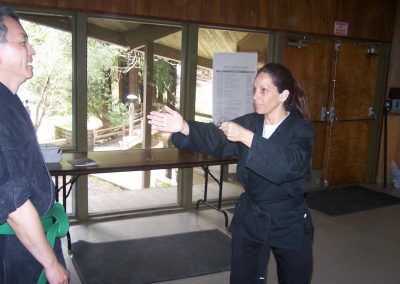 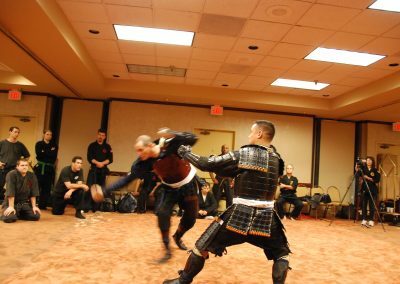 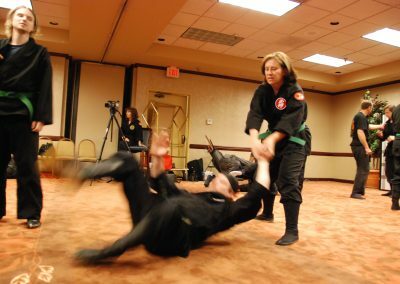 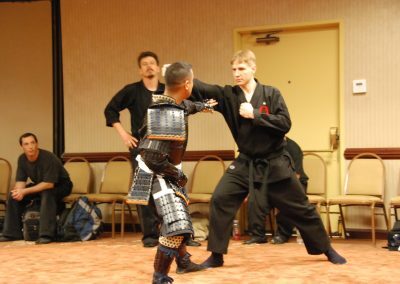 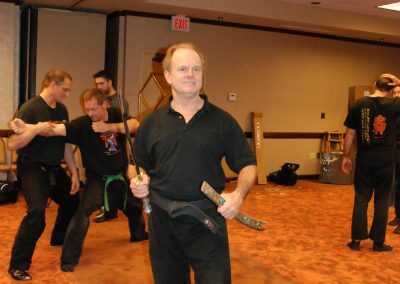 This event will be Extra Special as you will experience the arts from the inside out and get some in-depth training in the arts of Empowered Living, Dynamic DeCuerdas Eskrima, Ninjutsu-Budo Taijutsu, Sword Play – exploring what works in Combat, Weapons – Advanced Bojutsu, Inner Arts Practice and Warrior Philosophy. 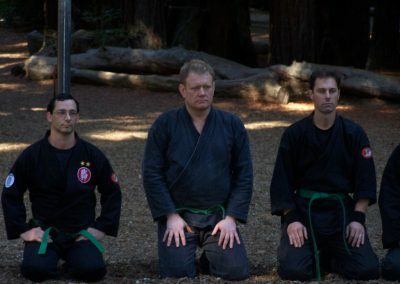 Doshi will go very deep on this. 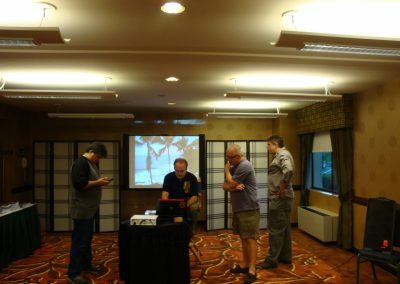 Each day will host separate sessions featuring each art and combinations thereof. 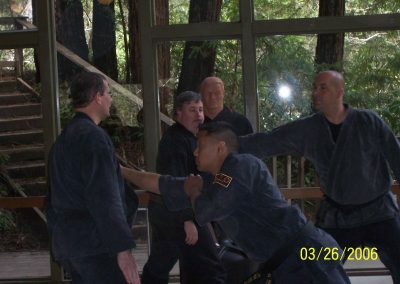 Full-Spectrum training!! 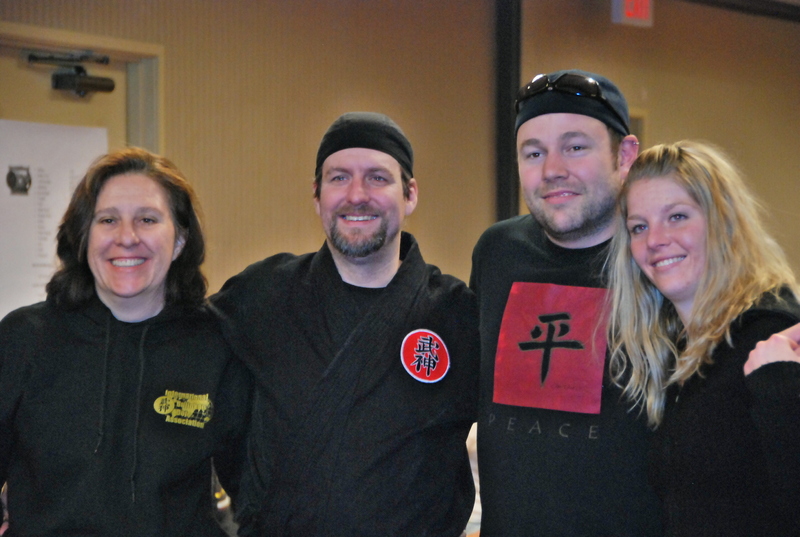 Last year was awesome, as anyone that attended will confess, way beyond what was expected. THEME – Being The Best Warrior You Can Be. 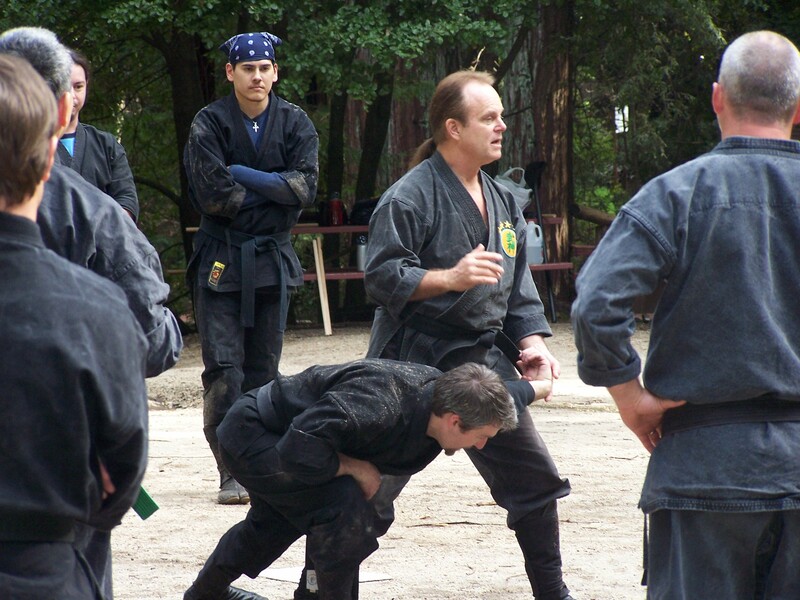 At this Bushindo Tai Kai event all instructors will inspire you to explore Being the Best Warrior You Can Be in all it’s forms from Simple Taijutsu, Taking Ukemi, Sword Play, Staff Play, Sticks/Knives, Warrior Body Empowerment and overcoming battles between your own two ears. 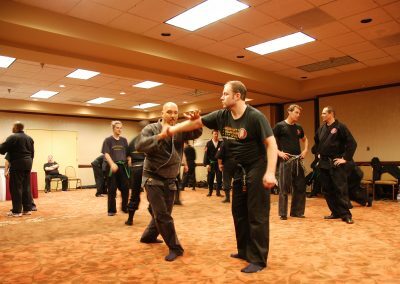 This year we will have many talented instructors besides GM Richard Van Donk that will make this a very educational training experience. 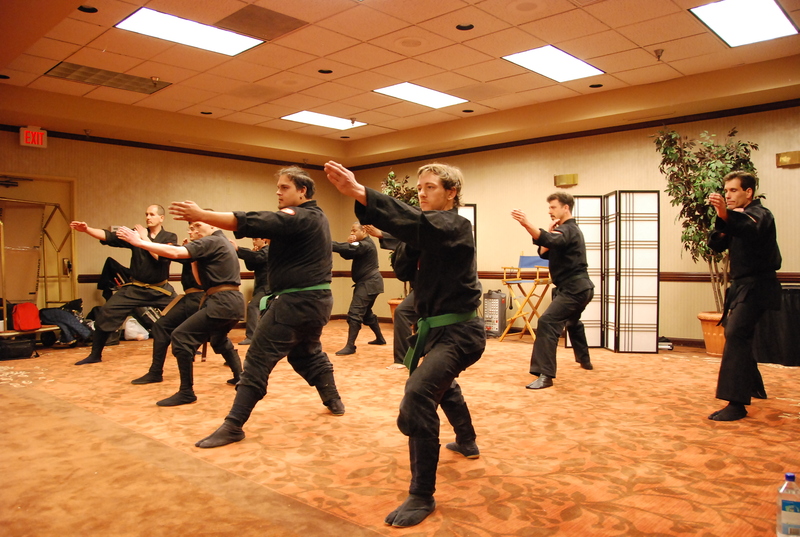 This event will be special as it is Bushindo’s first multi-art Tai Kai event. 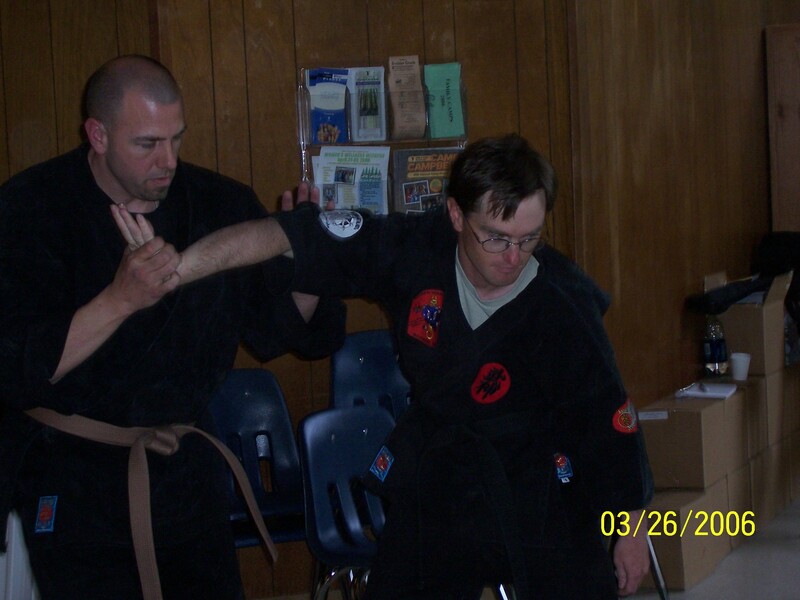 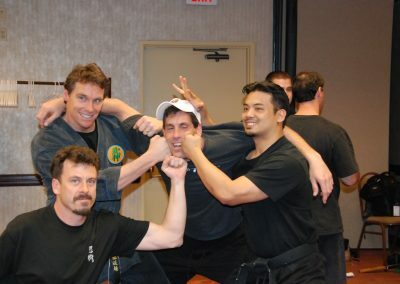 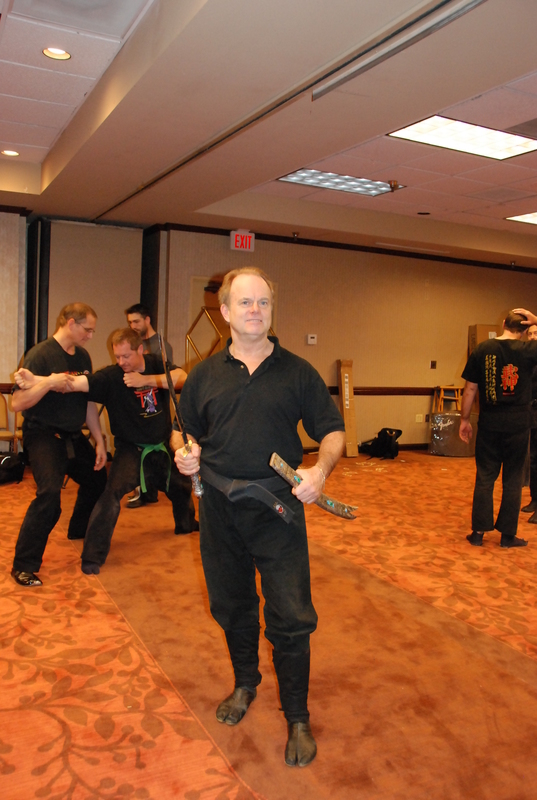 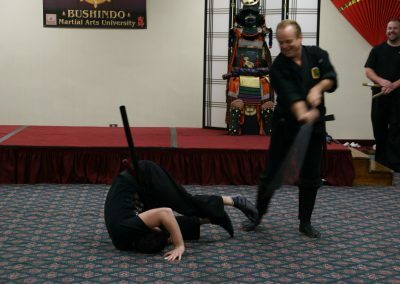 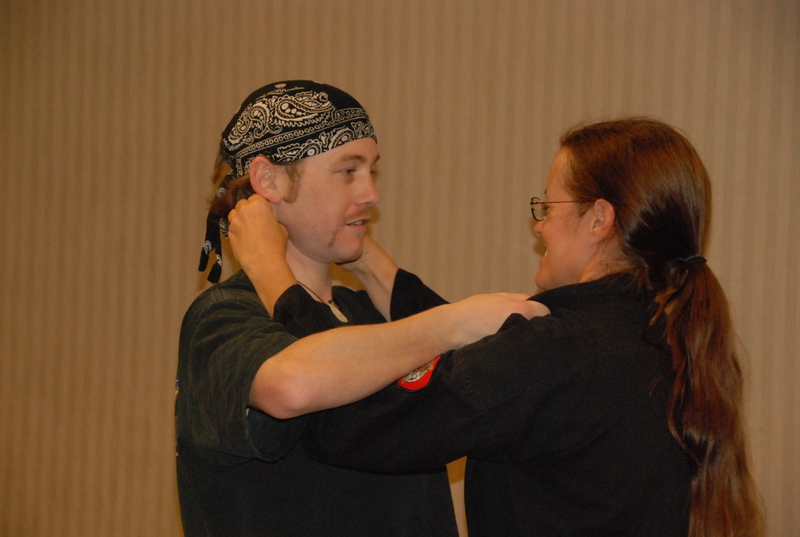 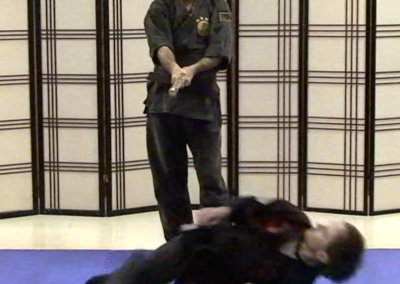 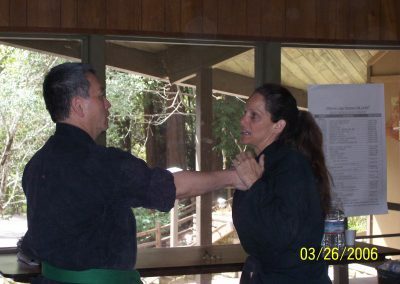 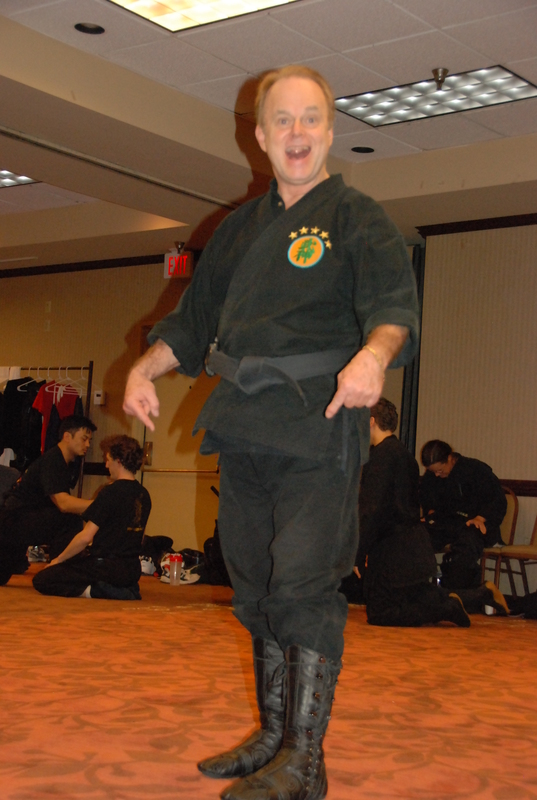 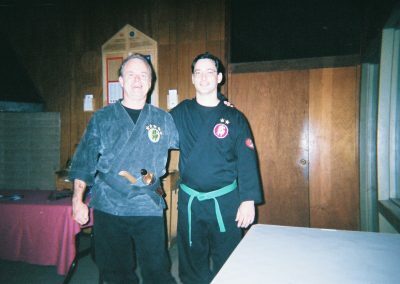 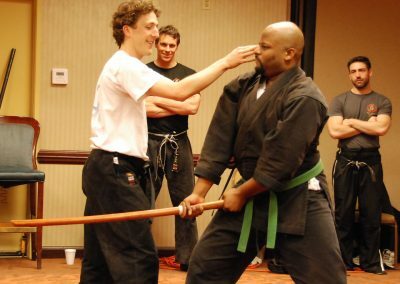 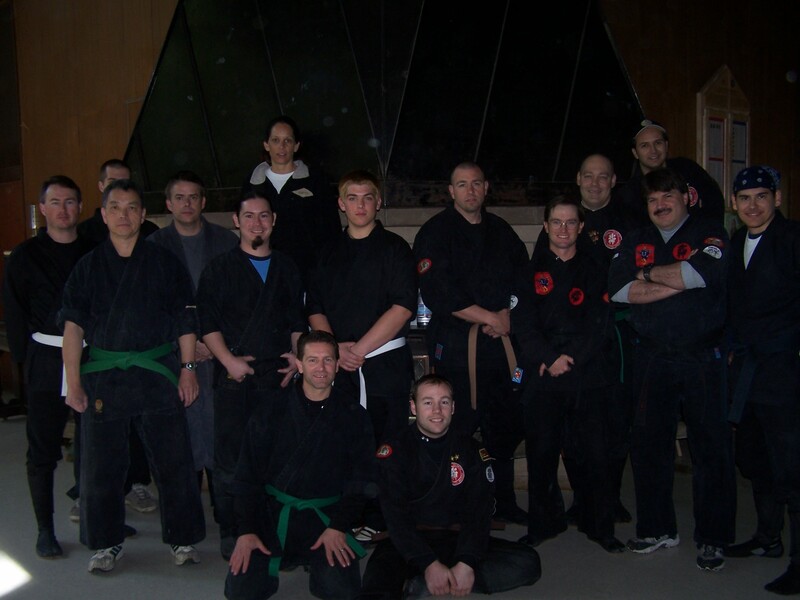 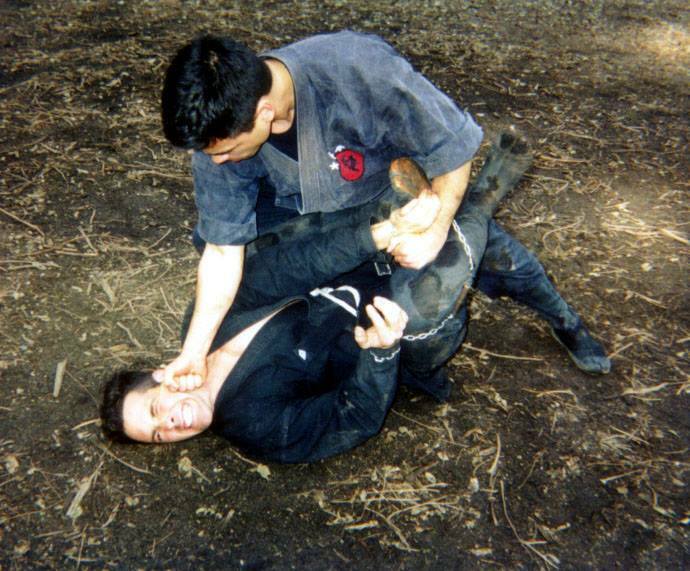 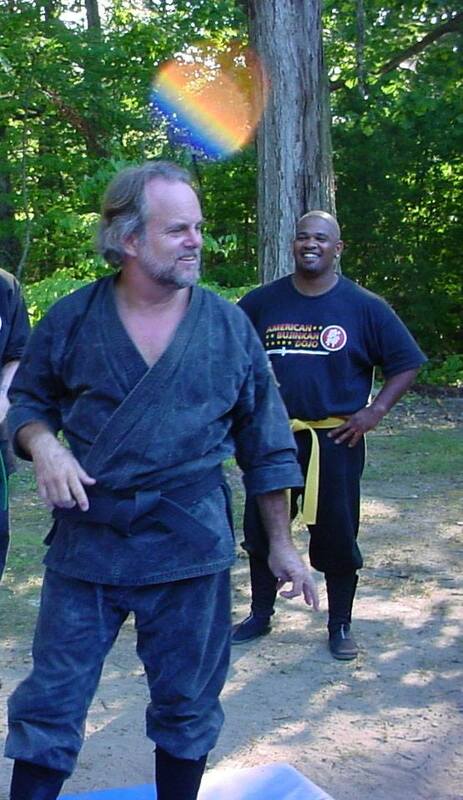 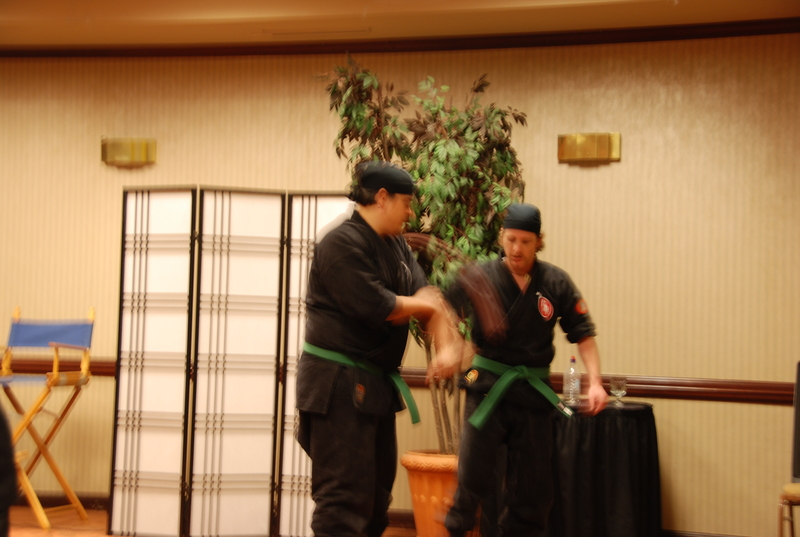 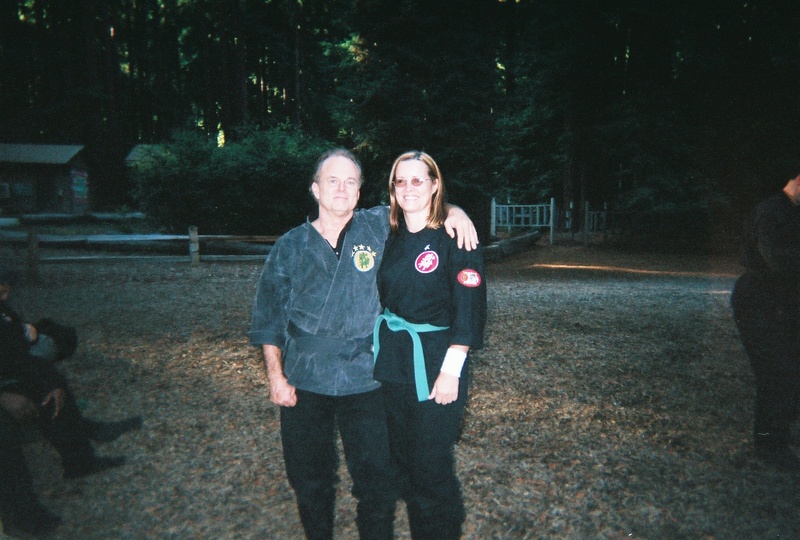 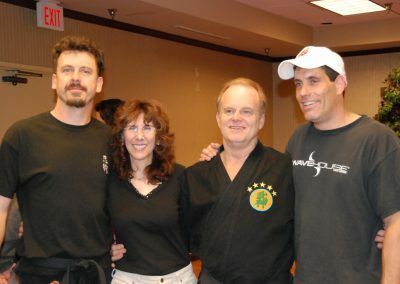 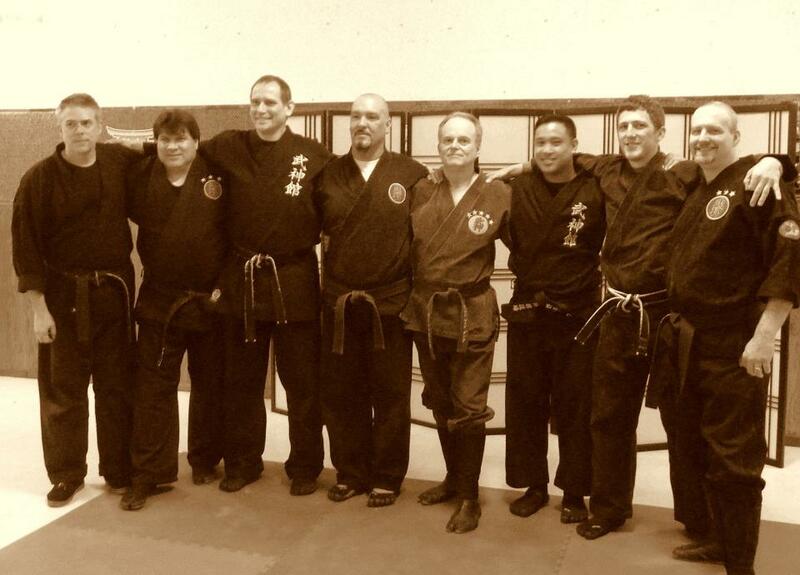 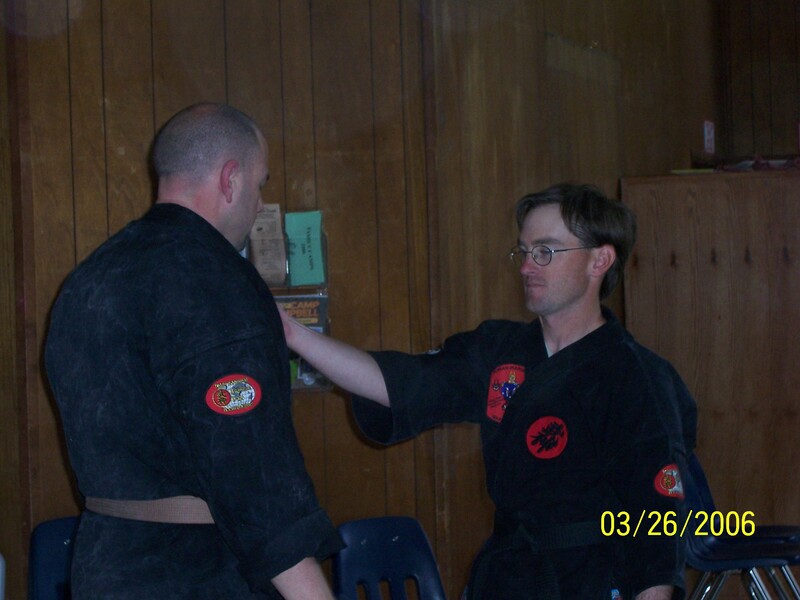 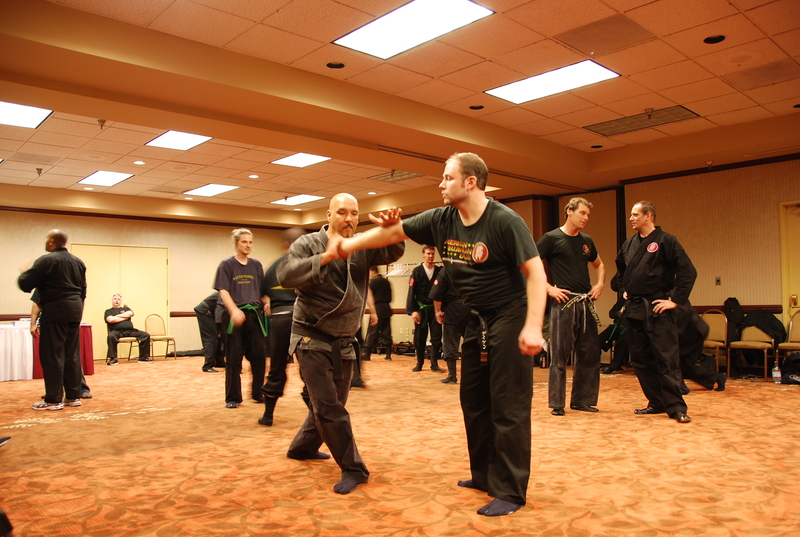 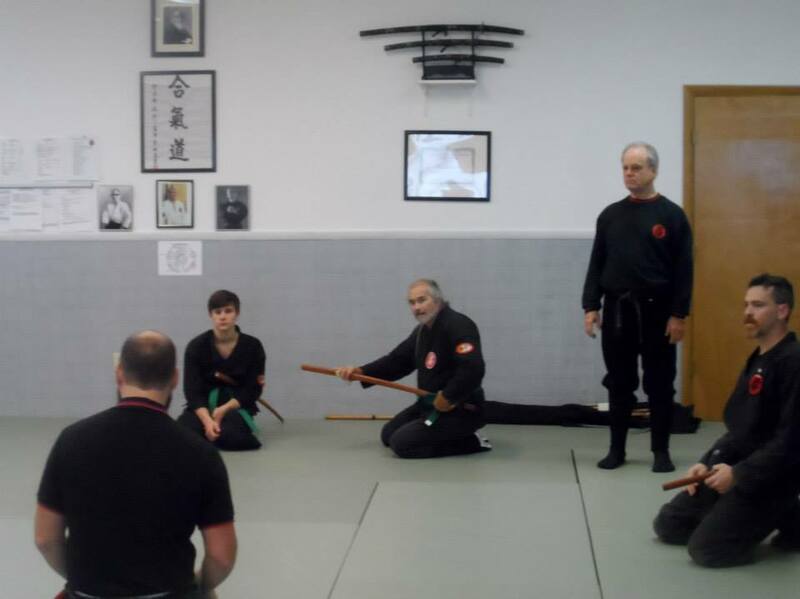 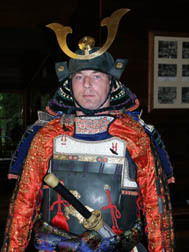 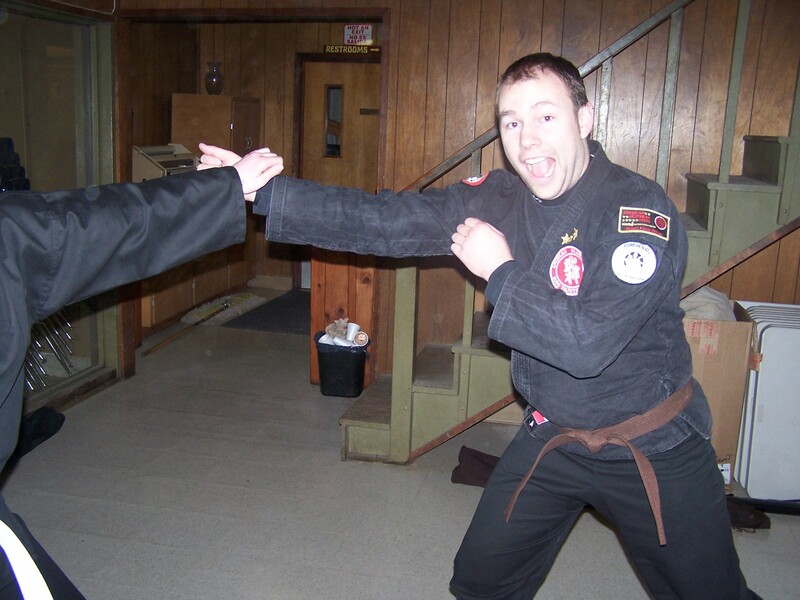 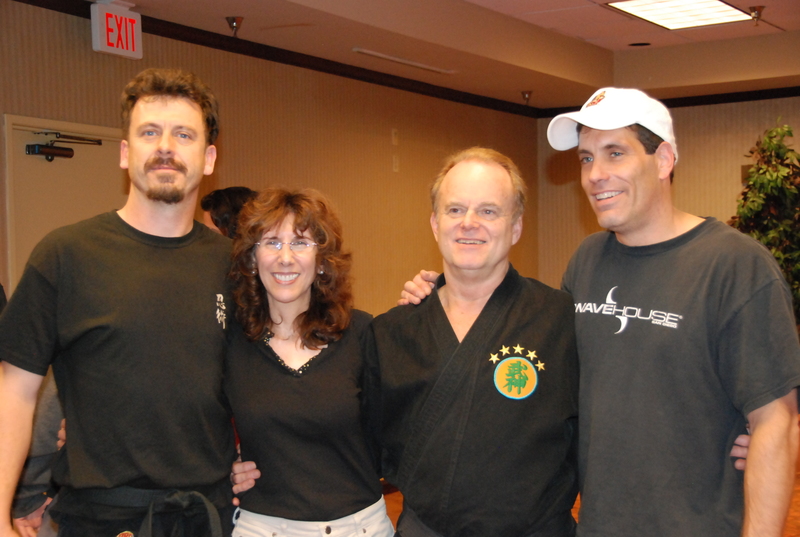 Richard has done several Bujinkan-Eskrima-Sword events but never as an Official Tai Kai. 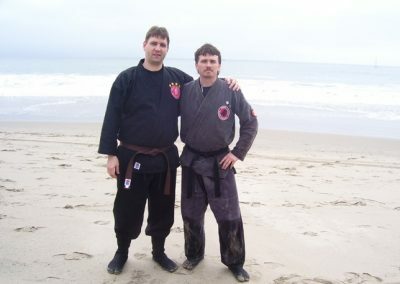 This is the first so be a part of history. 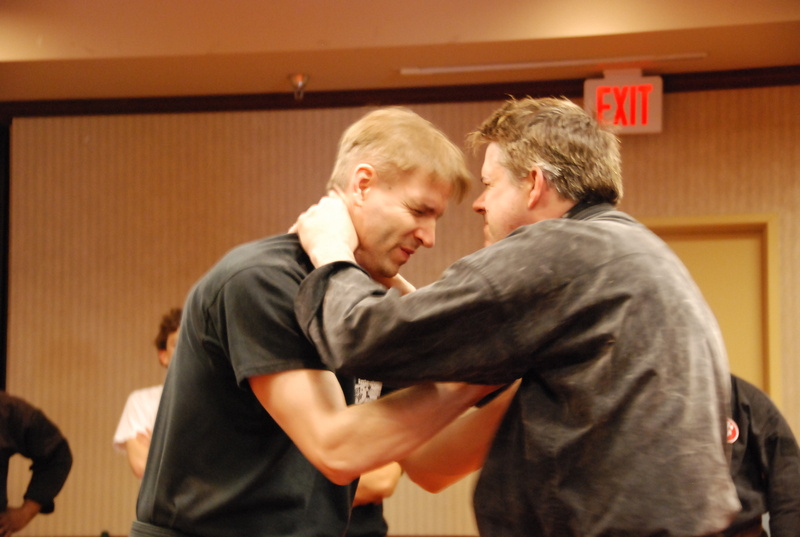 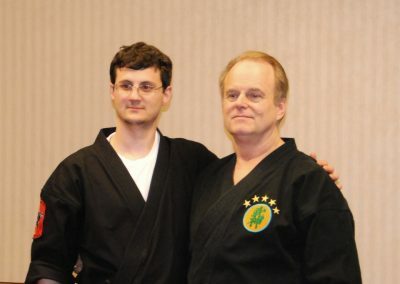 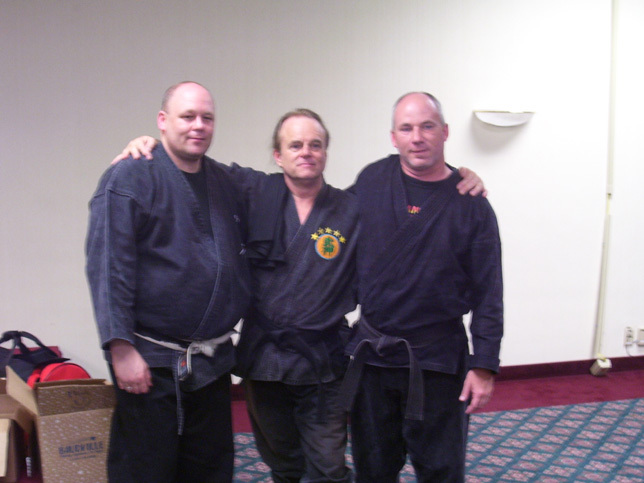 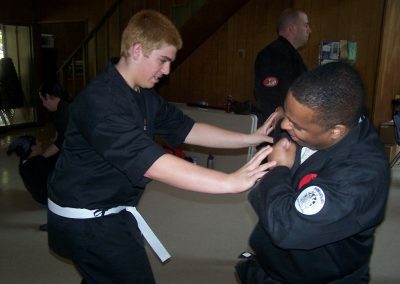 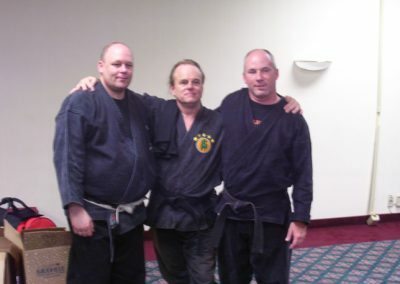 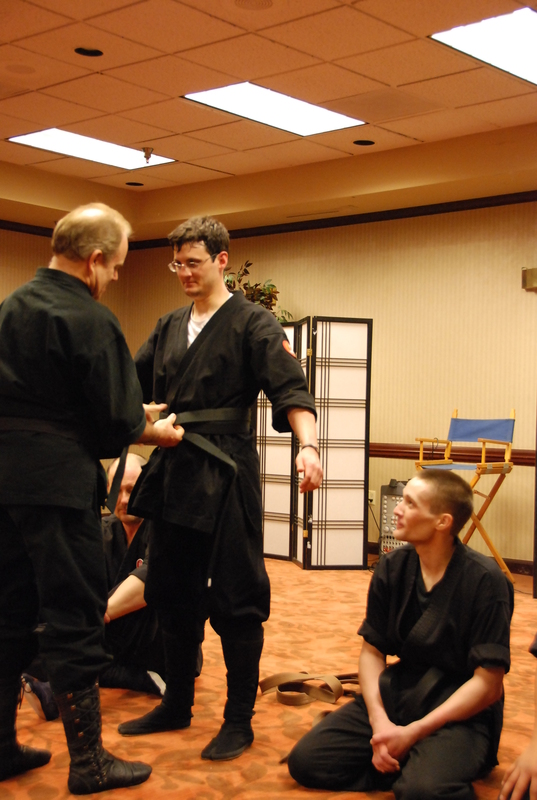 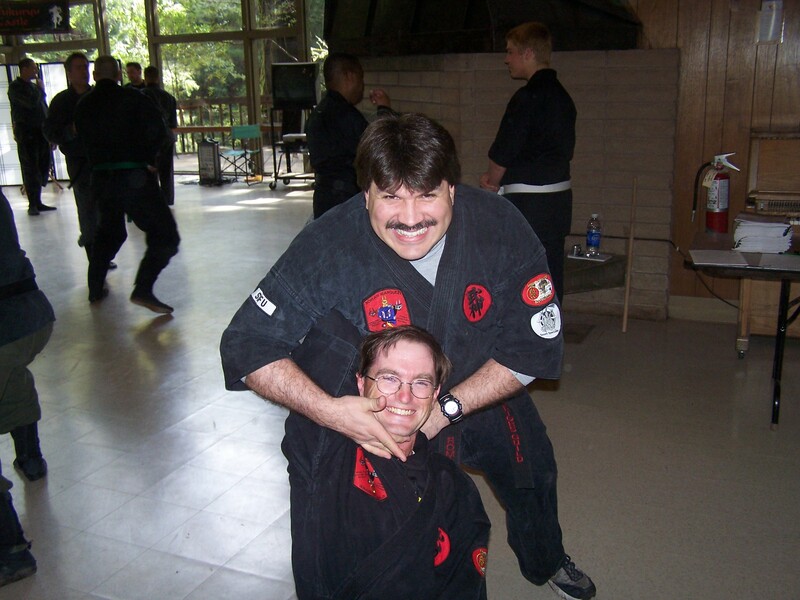 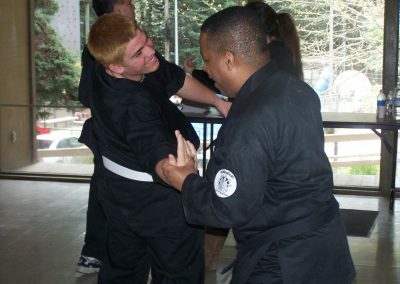 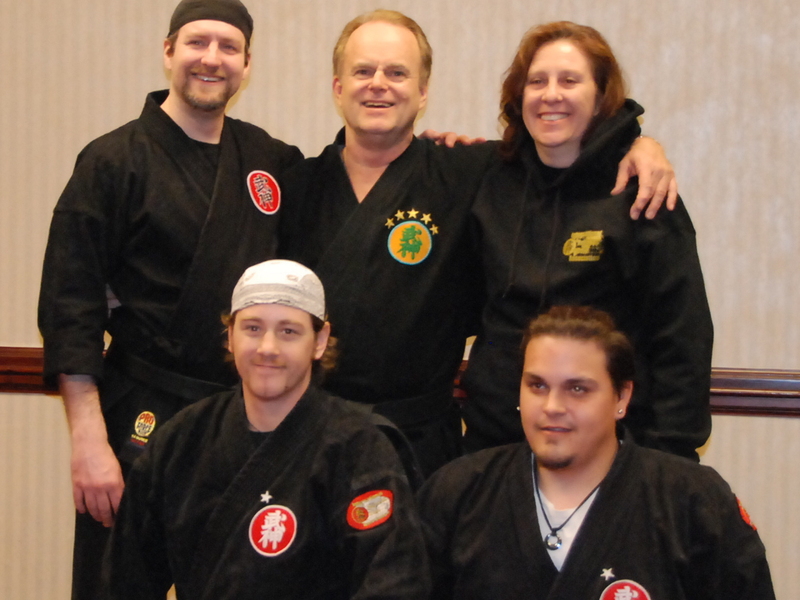 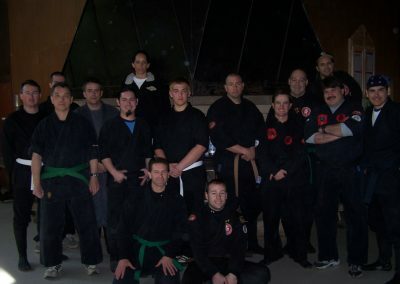 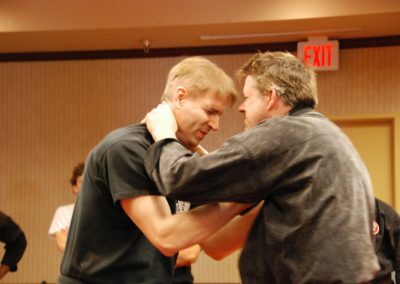 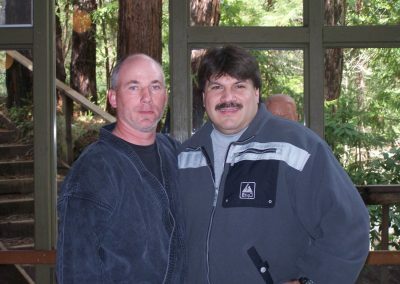 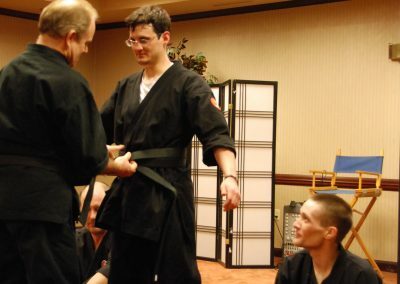 GM Richard Van Donk has always put a great effort into helping you and others in this art, both in and out of the dojo. 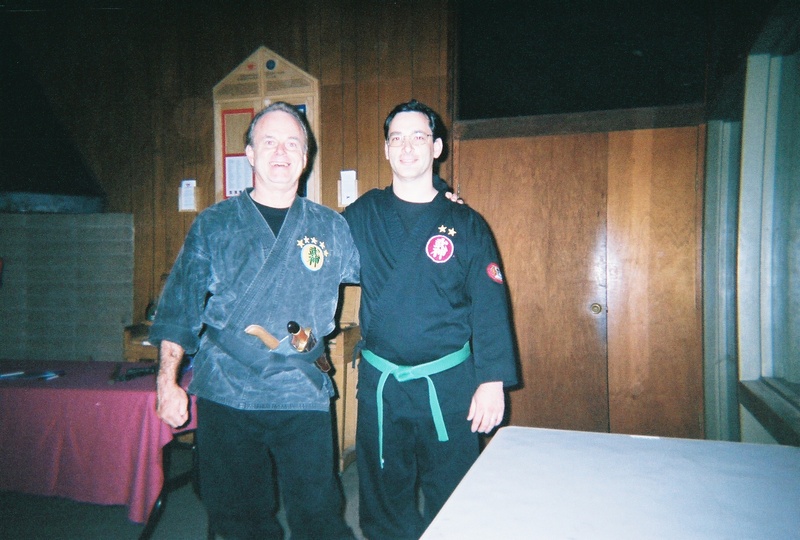 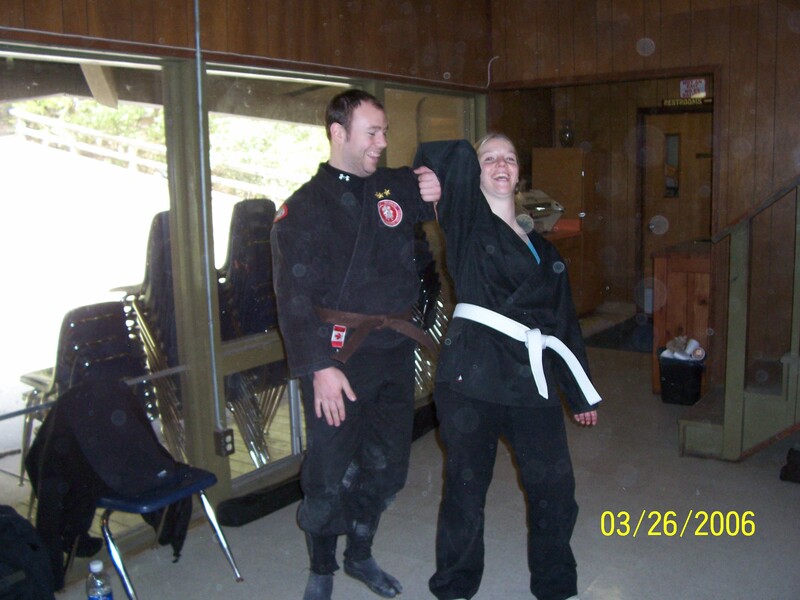 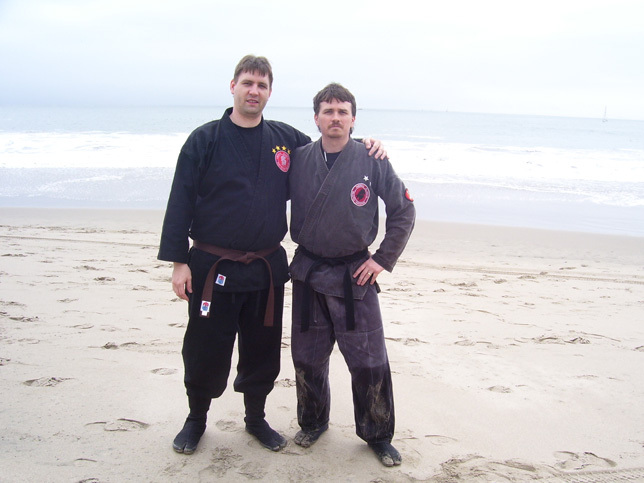 He would be honored in having you come and help him celebrate this long budo journey with him. 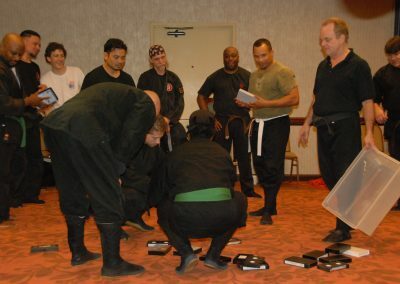 Come prepared to train (Yes, we may party too- as we so much enjoy each others company and build lifetime bonding relationships). Many instructors have committed to coming and making this event special. The following list will continue to grow. 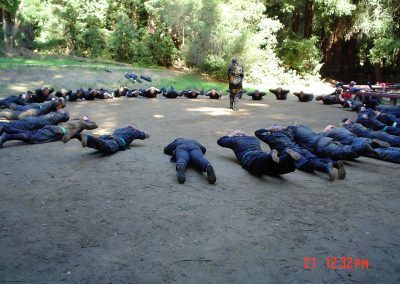 Encourage your teacher to come! 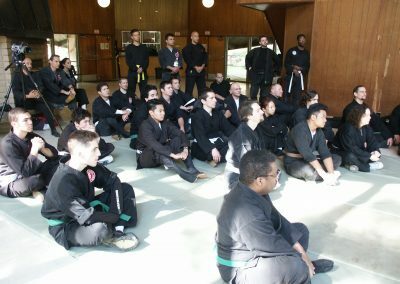 The teachings will be very deep and taught in a way that beginners will gain so much and advanced students will thrive no matter what your grade level is. 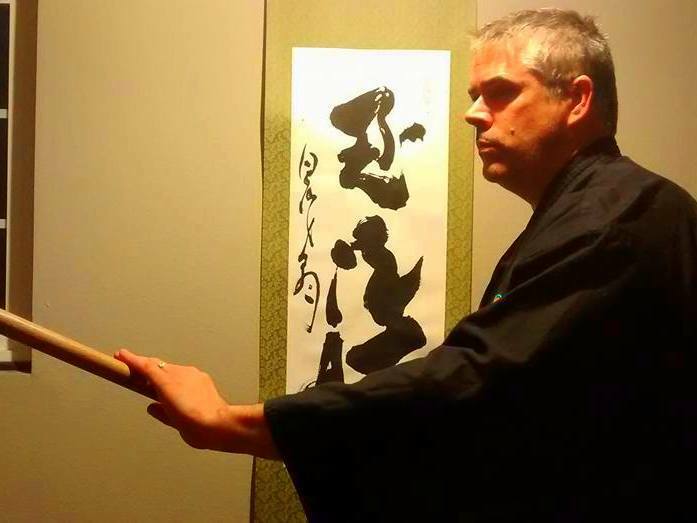 There will be so many talented people to share here. 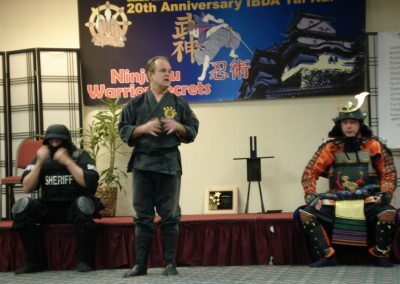 GrandMaster Richard Van Donk will be teaching a lot at this event. 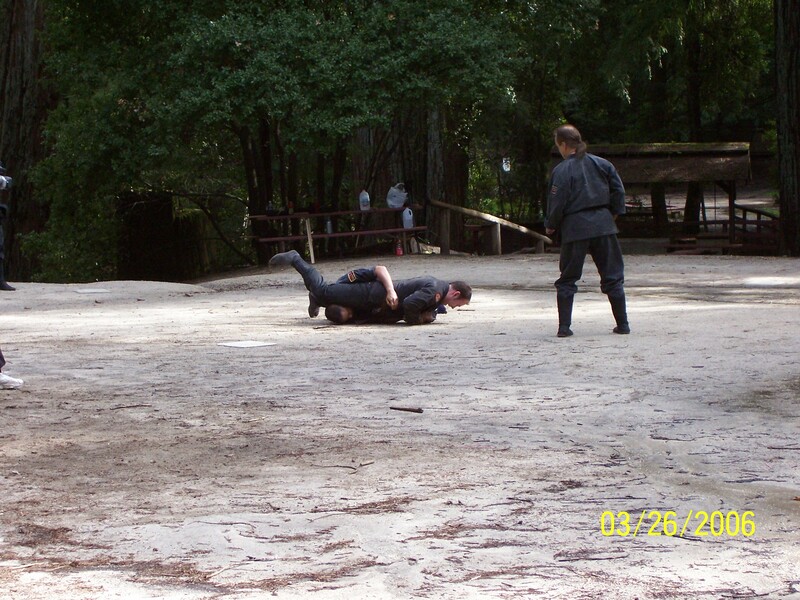 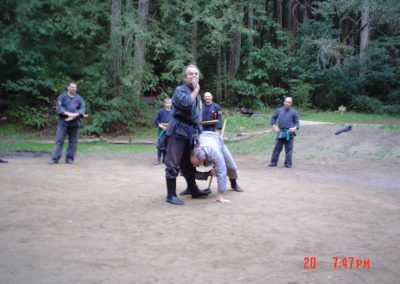 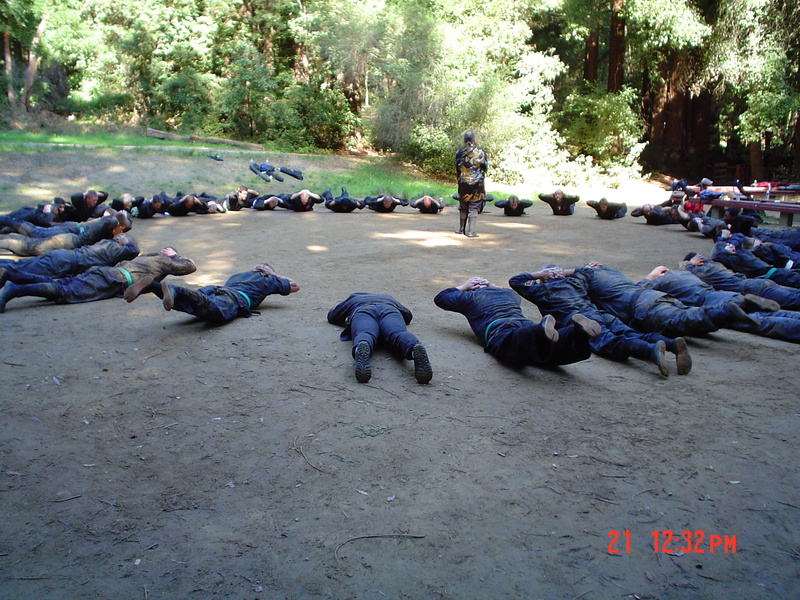 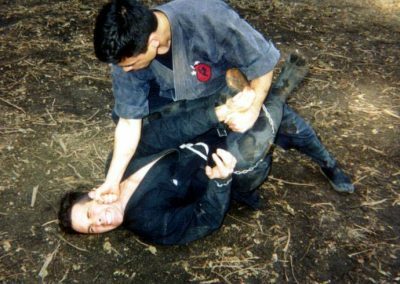 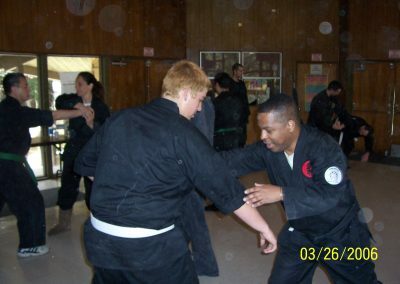 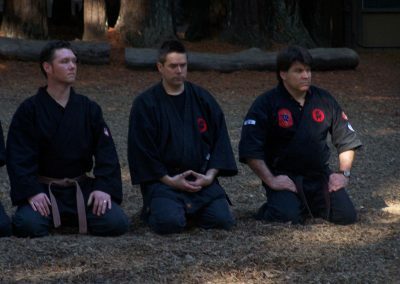 What it is to be a warrior, Mastering Your Taijutsu from the Inside Out – neuro-patterning Taijutsu Integration session, Power of Bojutsu, Realistic Blade Methods, Empowerment Meditation, and Ask Him Anything Camp Fire Session. Shihan Roman Marquez will host a class on DeCuerdas Eskrima – basics and never before seen Eskrima drills. Plus an outdoor knife throwing class. 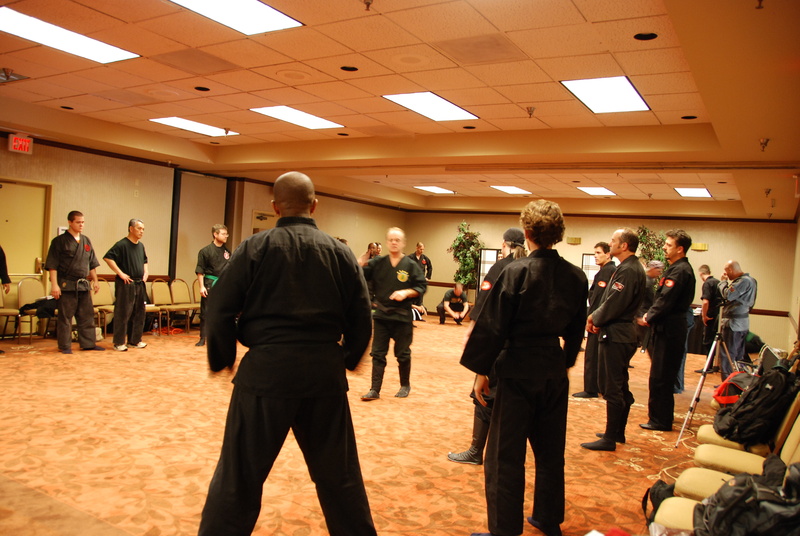 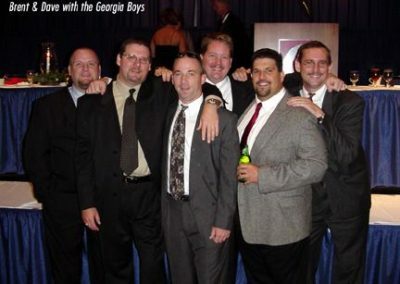 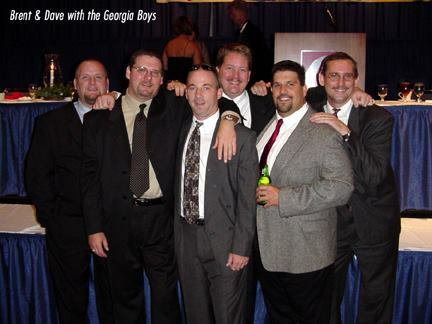 Many instructors are invited and the schedule is still developing …… it will be a great event. 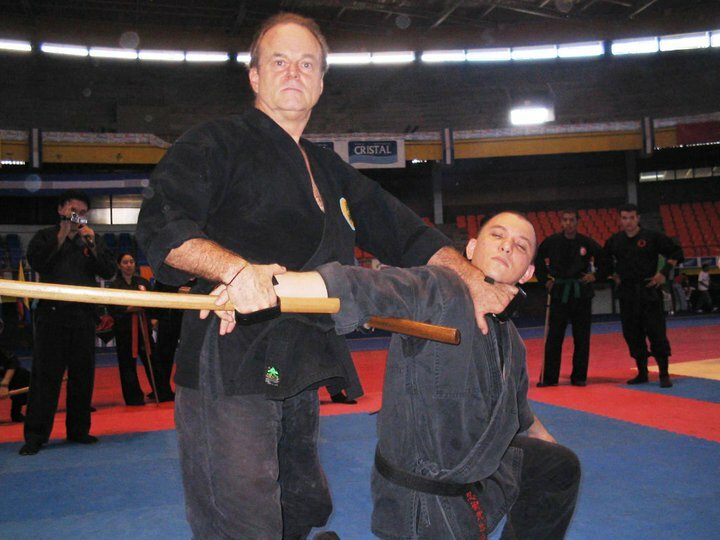 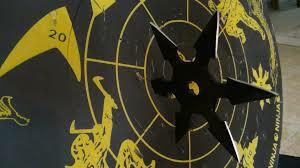 Eskrima – Dynamic DeCuerdas Eskrima can be your ace in the hole. 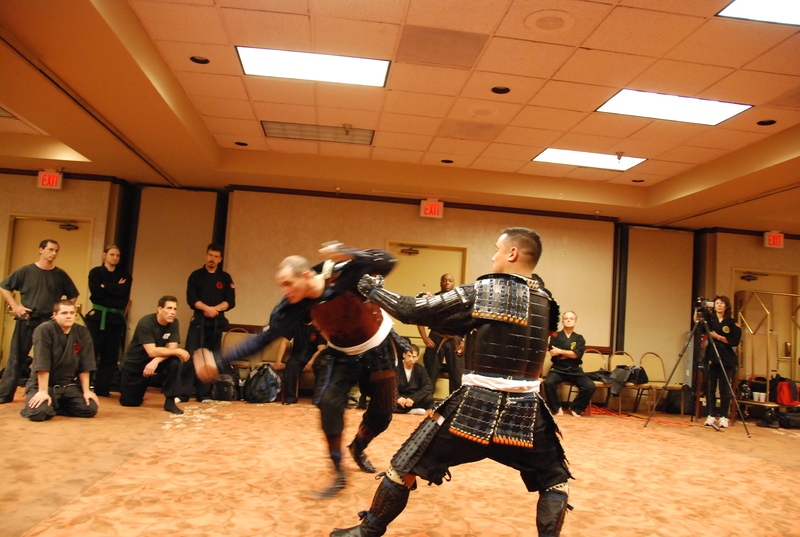 Blades are most fast quick, powerful and almost impossible to defend in the right hands. 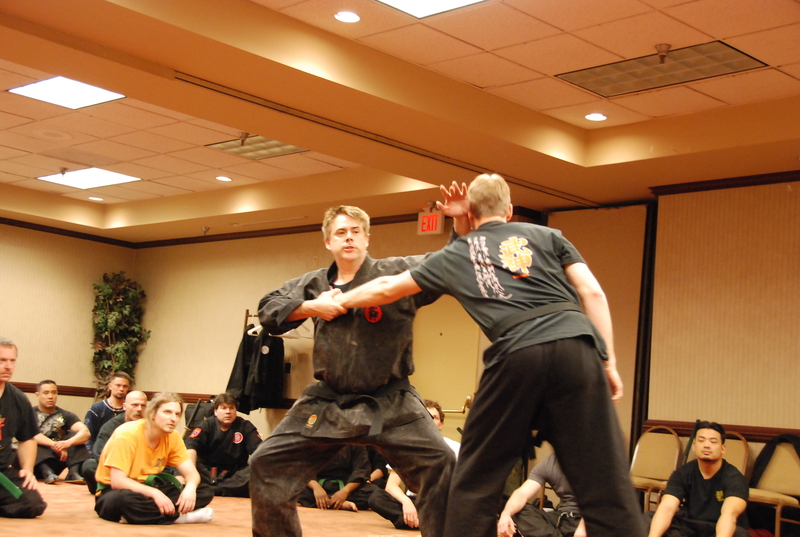 Come learn some master striking, blocking and defensive methods never shown to the public. 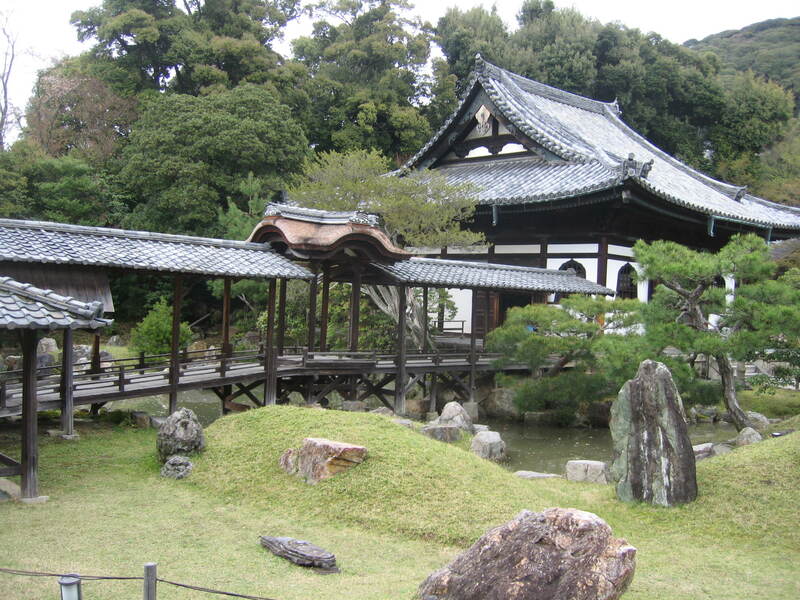 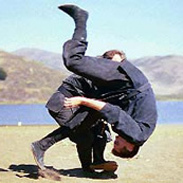 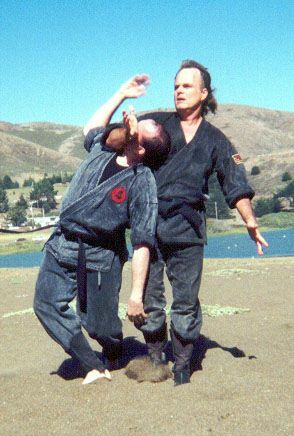 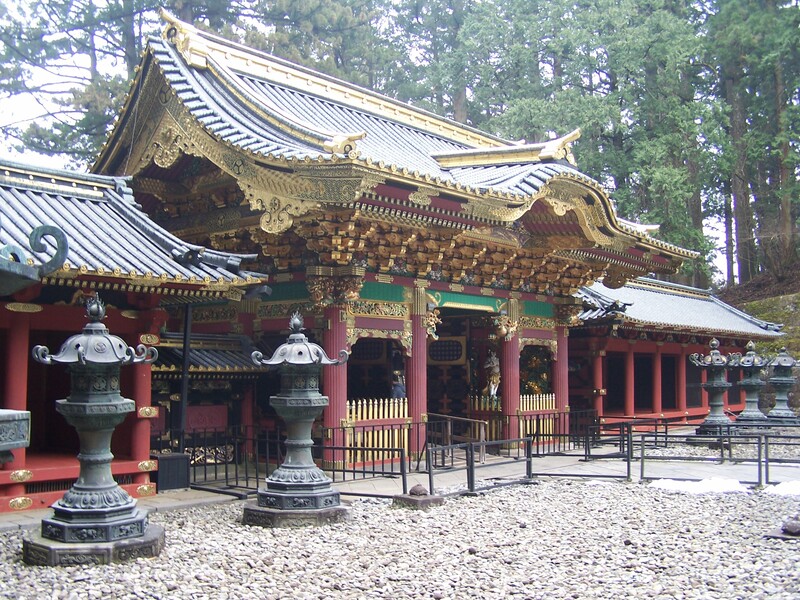 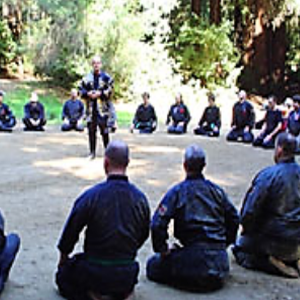 Bushindo – Master Principles not limited to any one system. 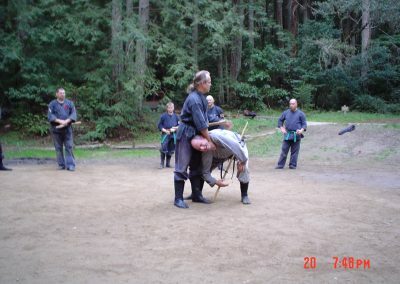 Sword methods. 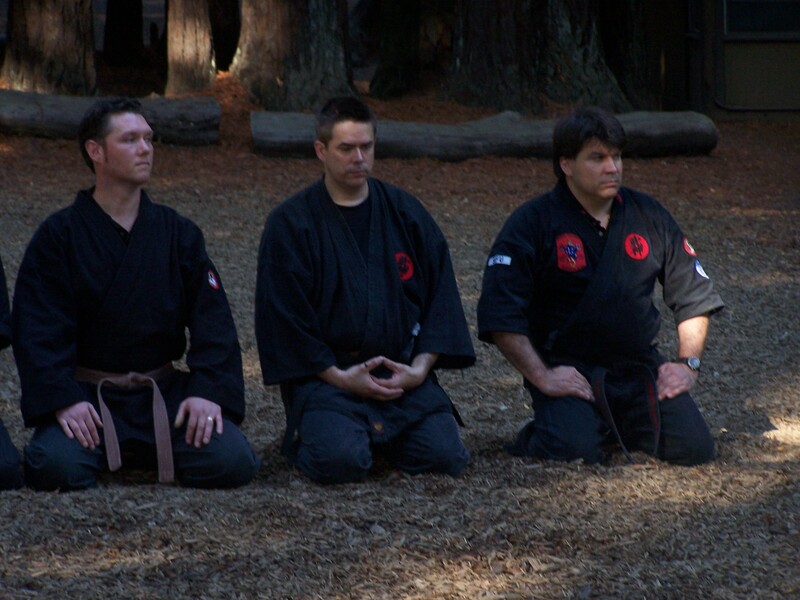 Enlightened Warrior Inner Arts – Chi Gung – Shin Gi Tai Ichi (Mind-Body-Spirit Integrated) is the goal. 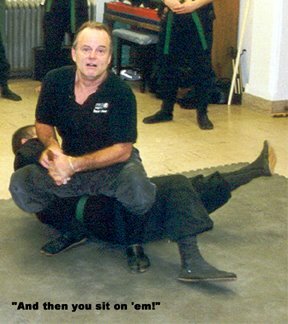 Control the Space and Stop their attack, Subdue them And then you Sit on them! 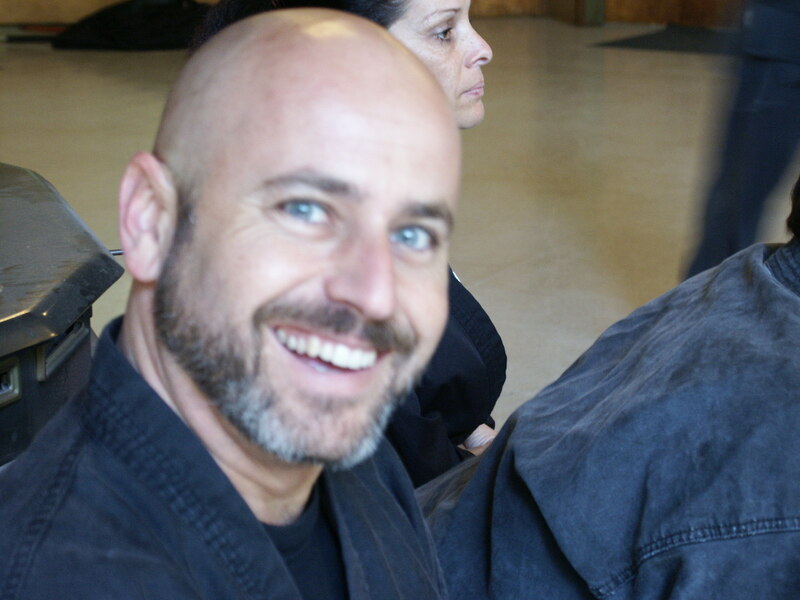 A Fireside Chat lead by Doshi Van Donk- Come ask ANY question and share your journey with us all. 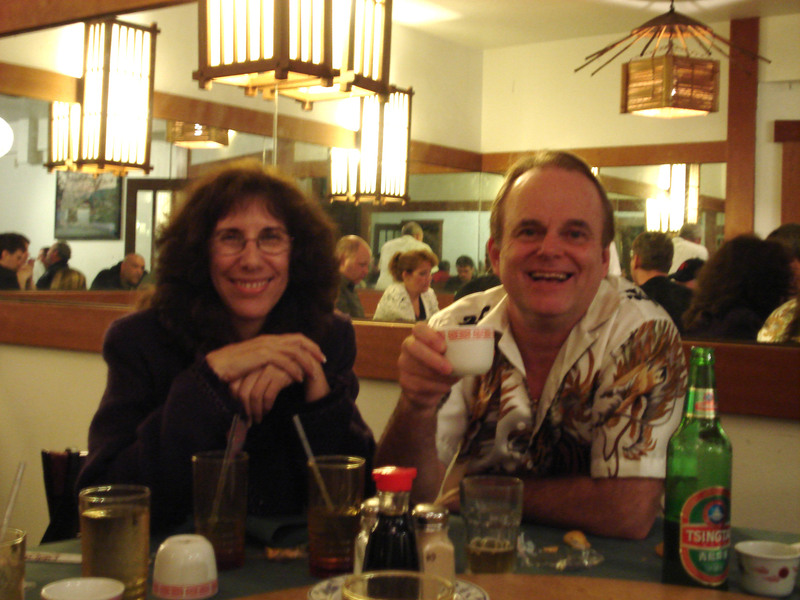 LODGING- Carson City is a Casino town with lots of hotels for most every budget ($50 to $300 night). 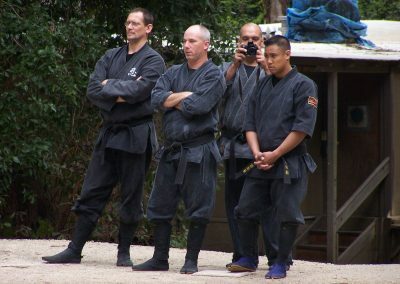 They are all about the same distance to the Training which is NOT at any hotel. 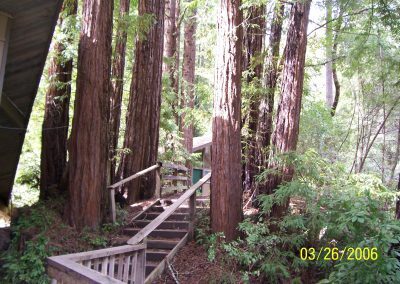 So choose the best lodging that suits your budget. 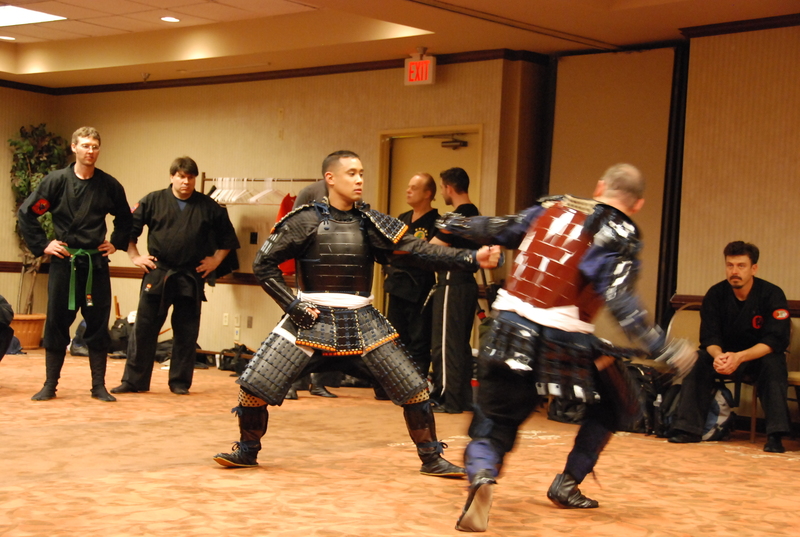 You will need a car to get around to training which will be only 10-15 minutes away. 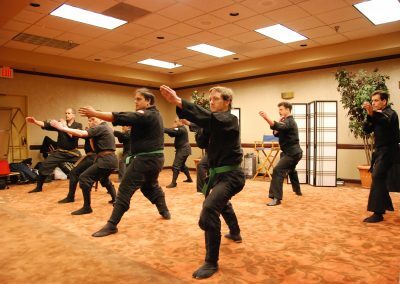 Doshi Van Donk and others will be staying Marriott Courtyard in Carson City. 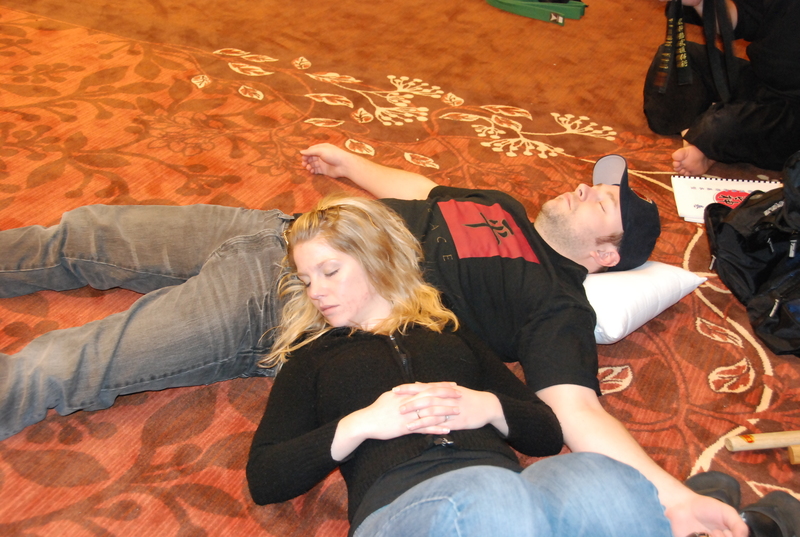 The Buffets are out of this world – so be prepared to train off all the great food. We are grateful to Shihan Roman Marquez and the Warriors Guild for making their dojo available to us for most of the training. 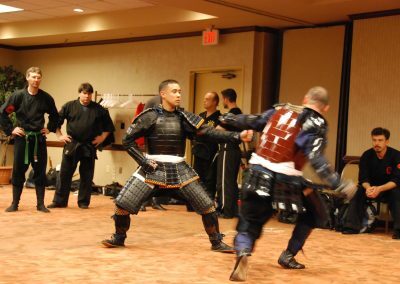 FULL TAI KAI DETAILS such as exact location, registration time, and what to bring will be in your sign-up Package which will be E-mailed to you shortly after your sign up. 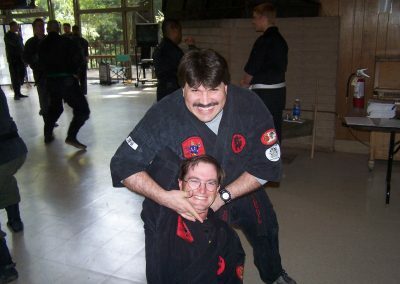 Please come back to this webpage for updates. 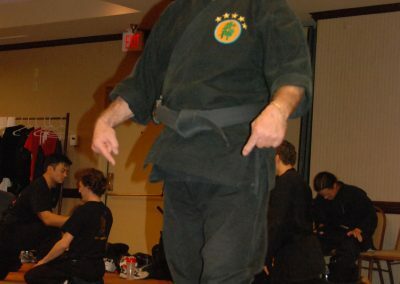 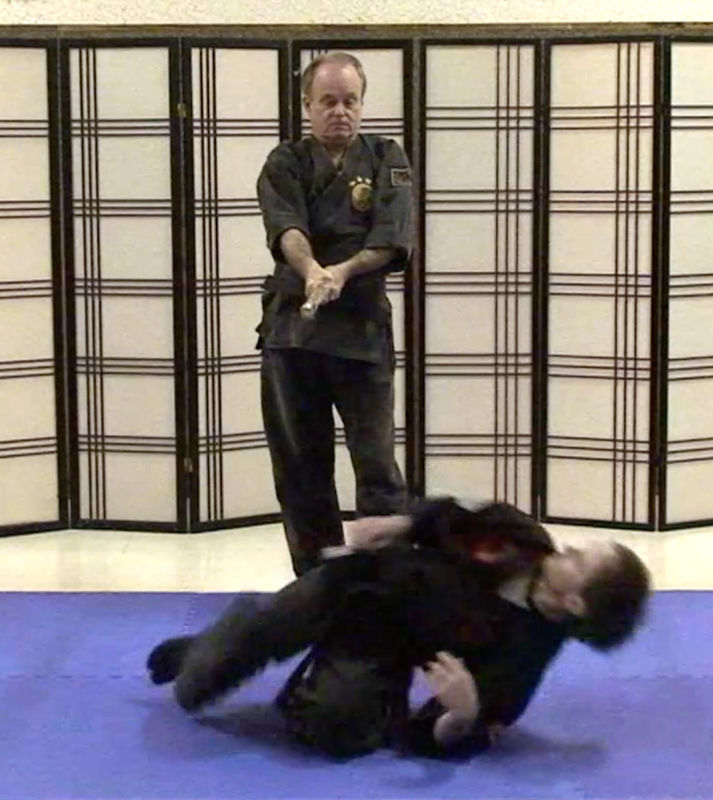 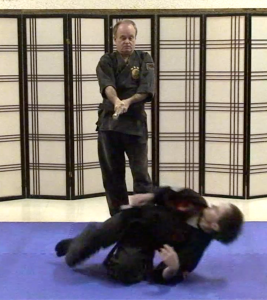 BUSHINDO TAI KAI LIMITED SPECIAL Only $297- SIGN UP NOW! After January 15th, 2019 there will be a $125 event cancellation fee applied and after March 1st there will be no refunds made. 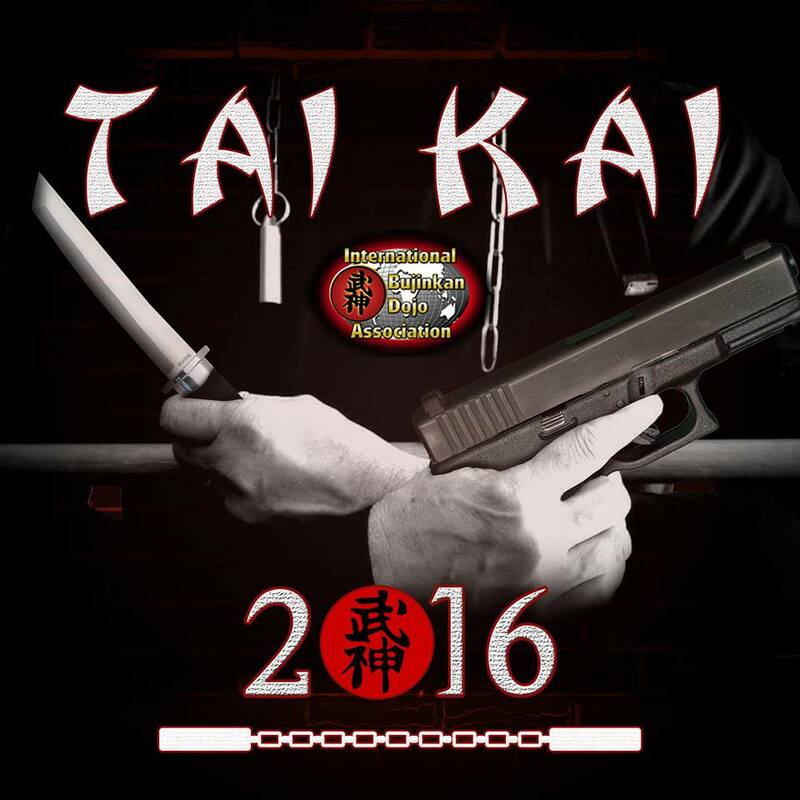 Any refunds will be made after the tai kai event is held and before May 1st, 2019. 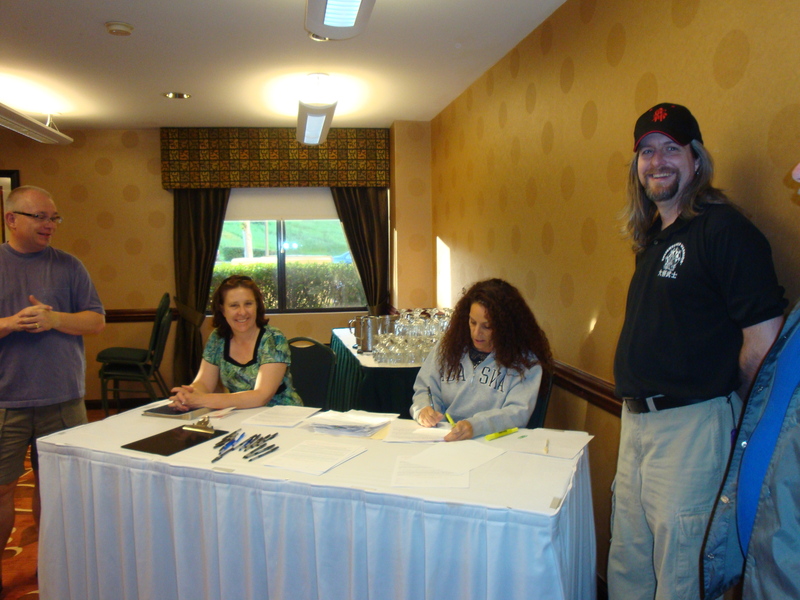 Please note that we structure our marketing to just bring the right amount of people to our events to make them small and more intimate. 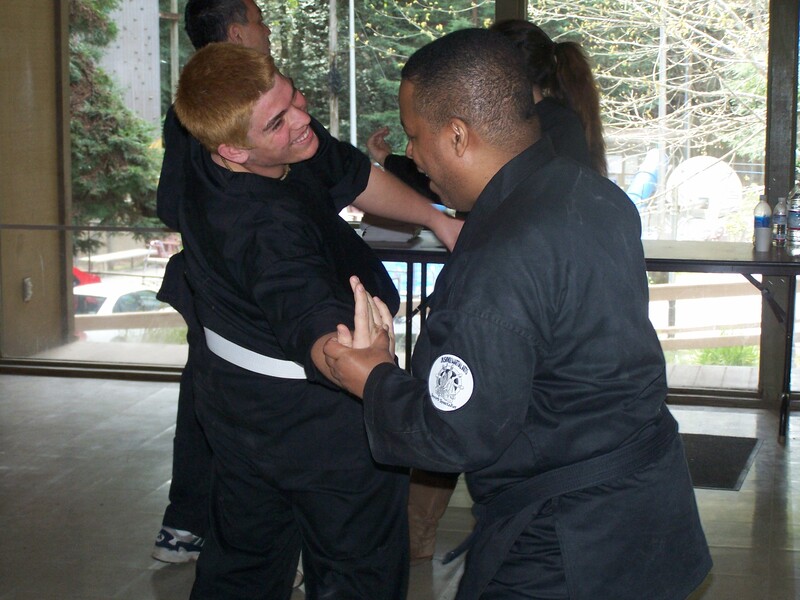 So once you sign up it affects our process and ability to give you the best experience possible. 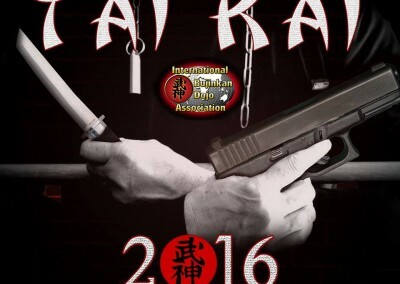 This will be a Certified Rank testing event for IBDA and DeCuerdas Eskrima students Only. 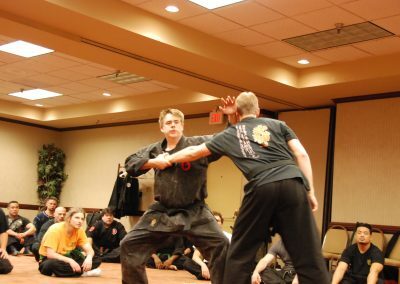 We do not rank ANYONE else’s students. 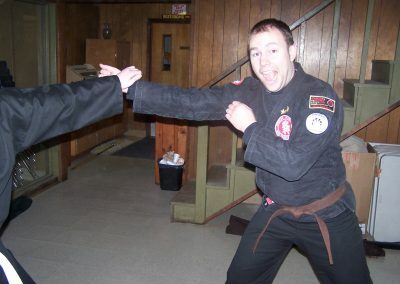 Pre-arrange and Pre-pay for your testing! While DaiShihan Richard Van Donk is authorized to give the Godan test on behalf of Soke Hatsumi. 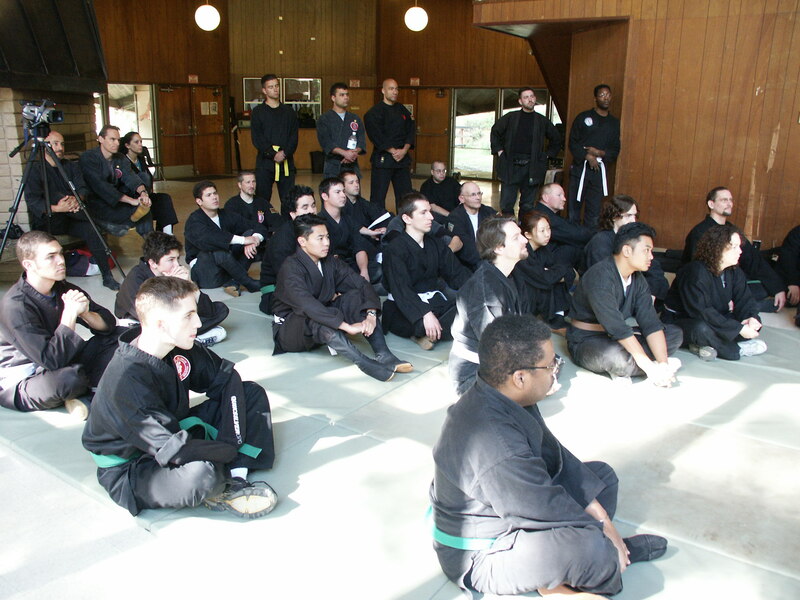 Potential Godan candidates must be pre-approved by DaiShihan Van Donk, prior to the event. 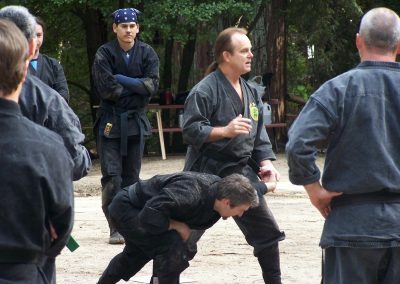 You must be training directly with IBDA and have hold a valid Japan Hombu issued Yondan certification. 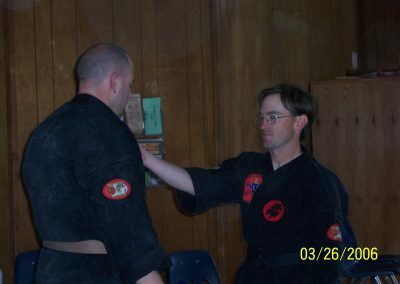 We do not rank ANYONE else’s students. 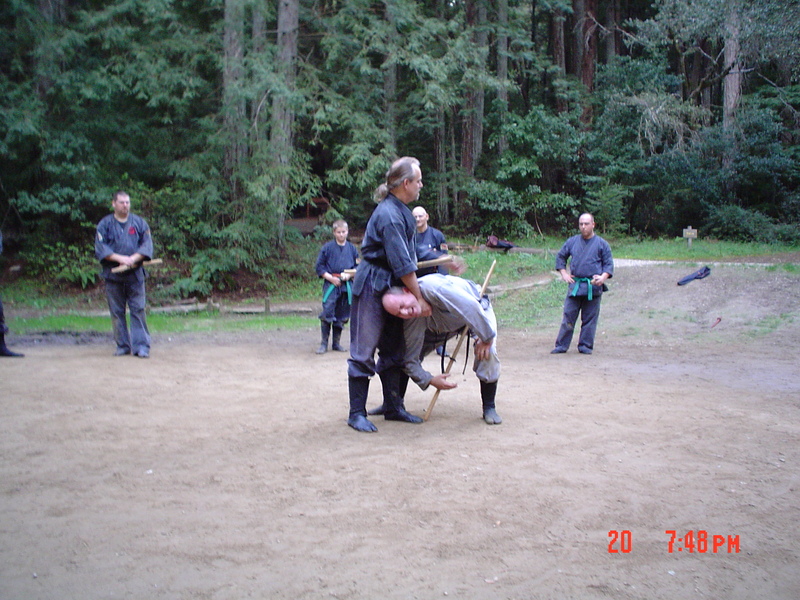 Do not come and just expect to be tested for Godan- It will not happen! 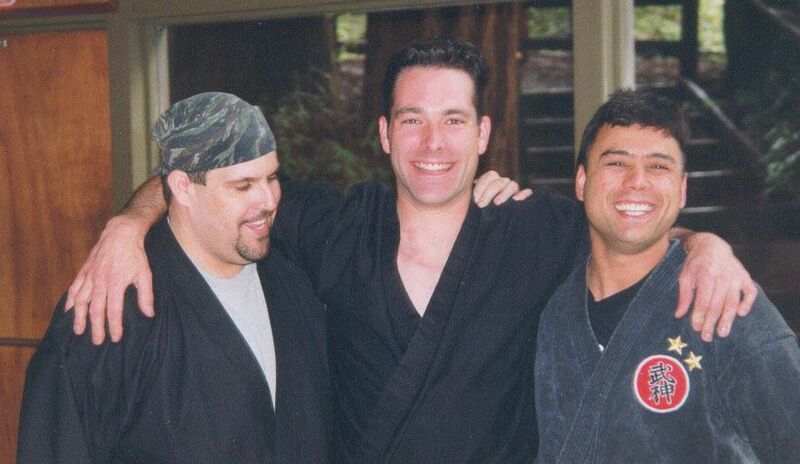 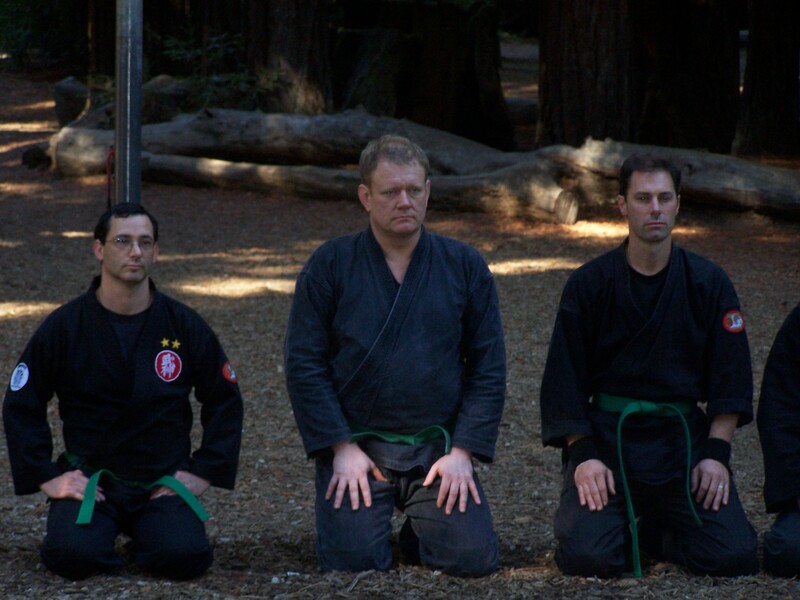 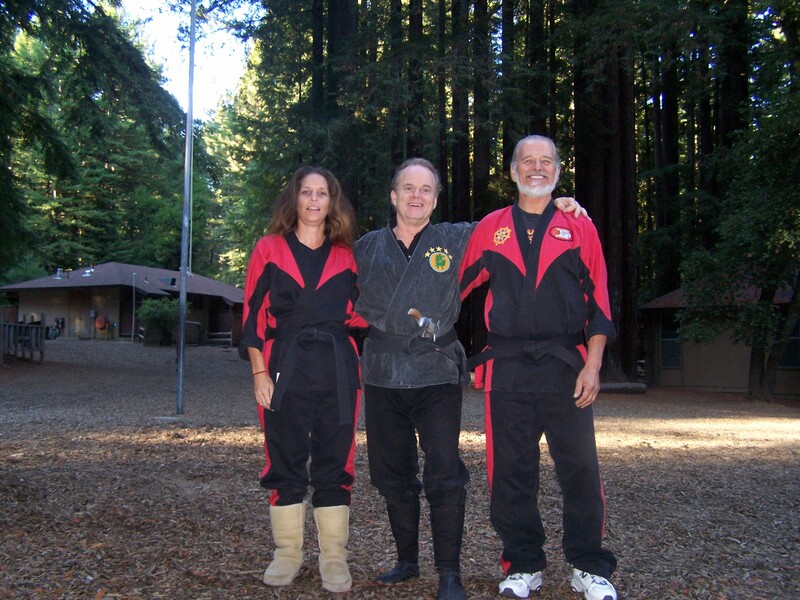 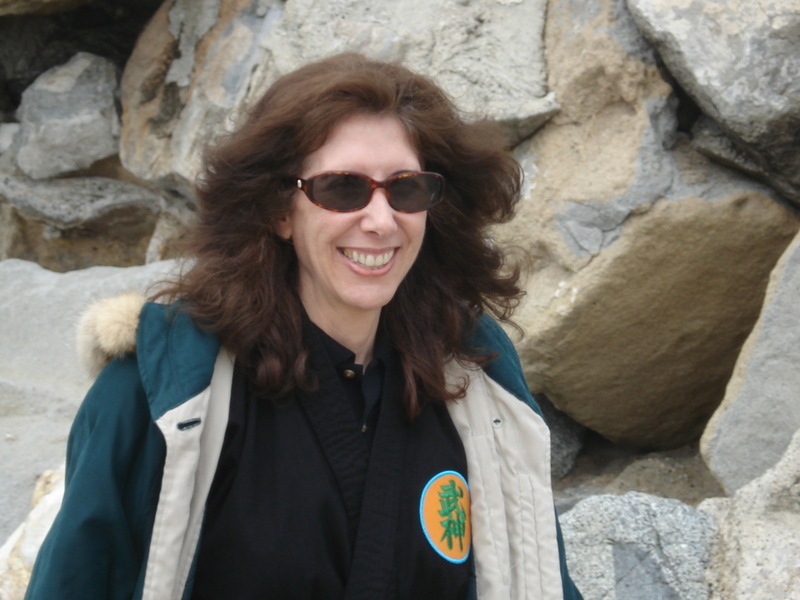 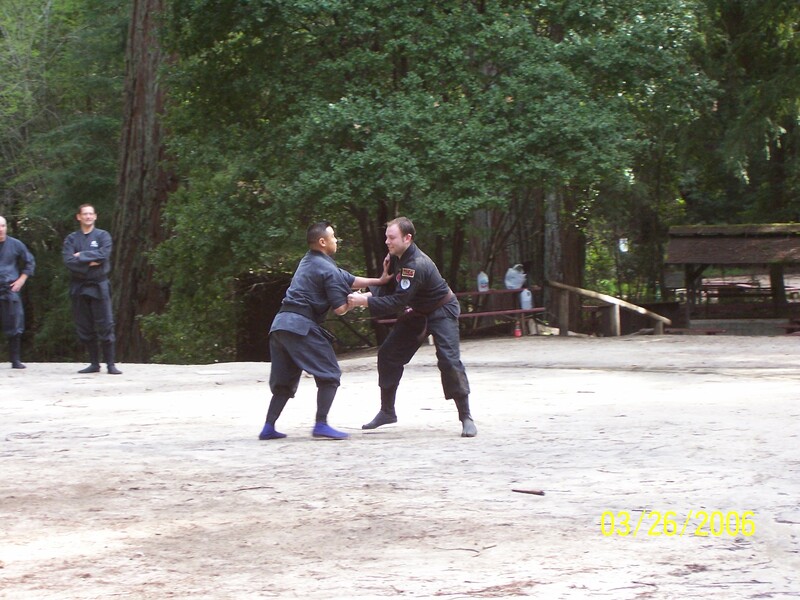 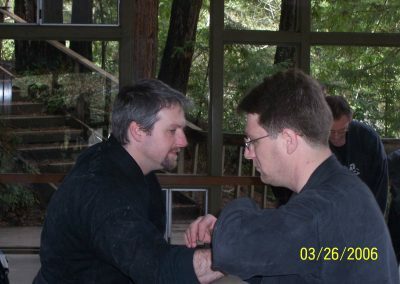 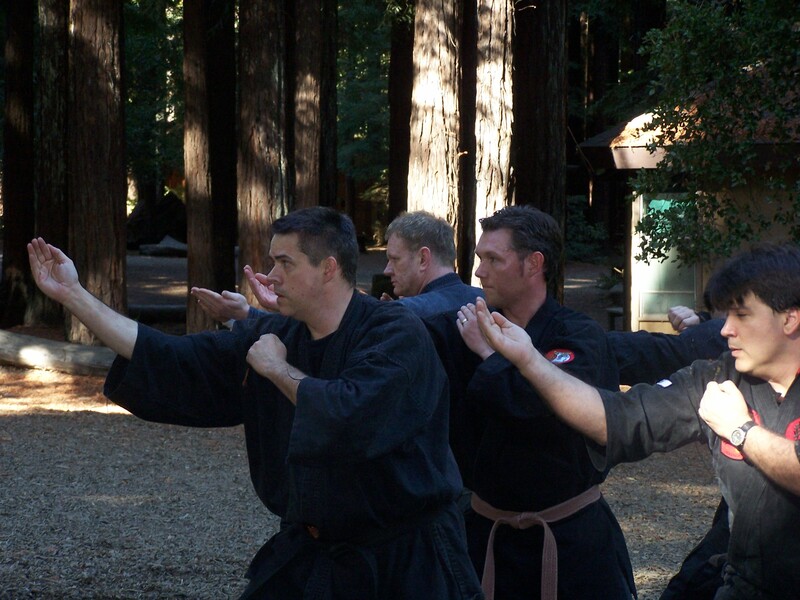 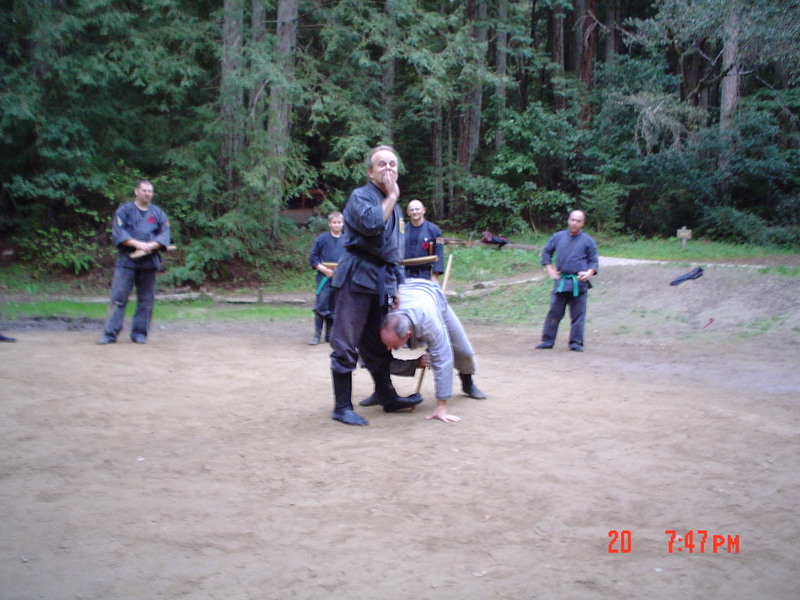 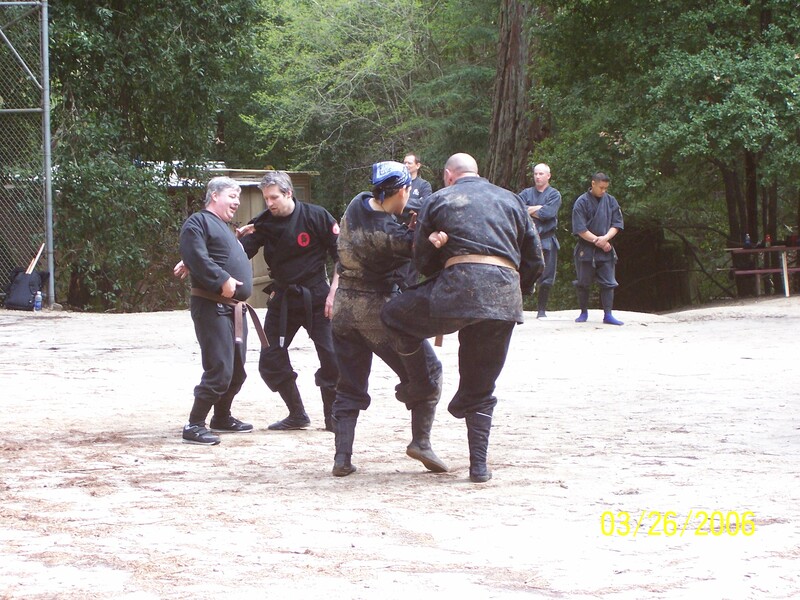 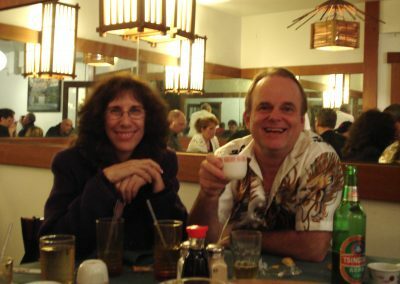 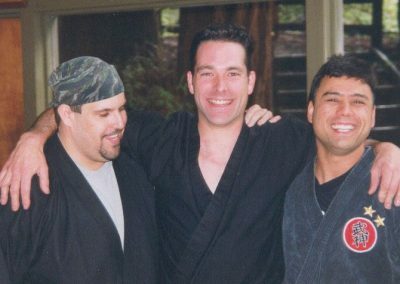 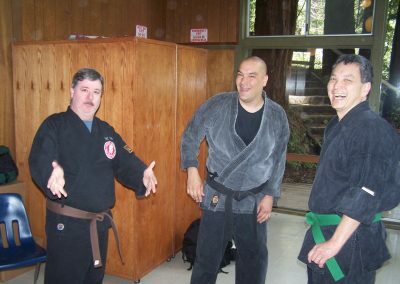 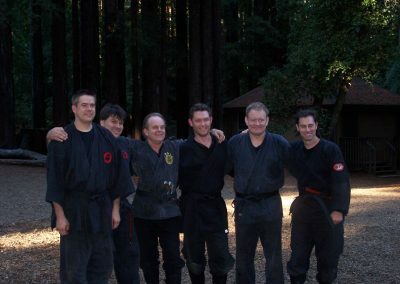 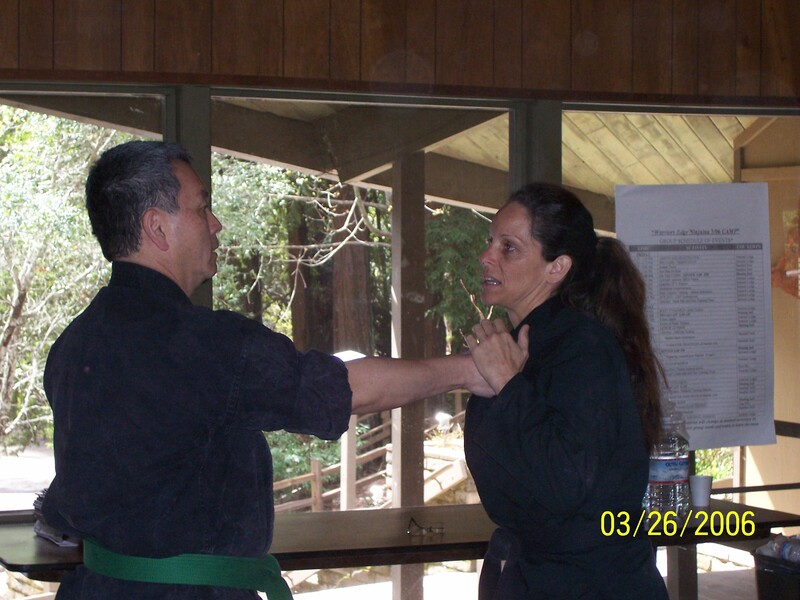 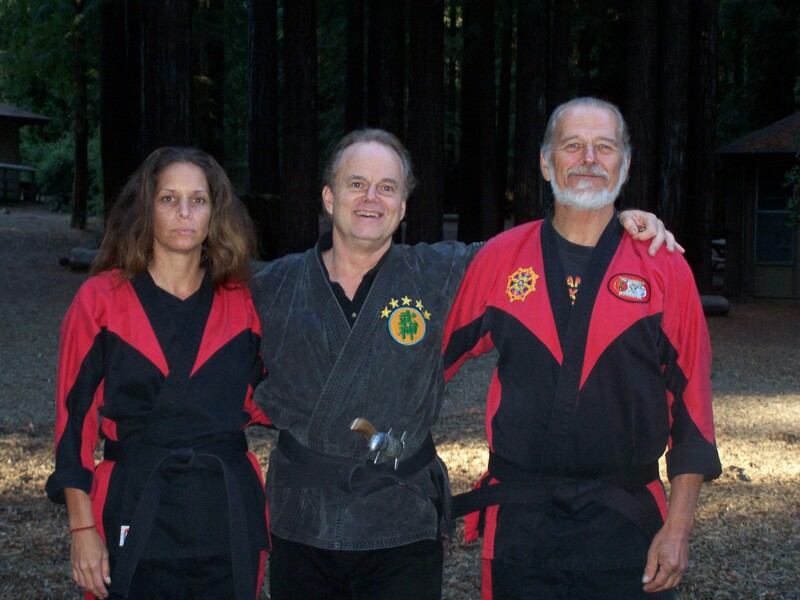 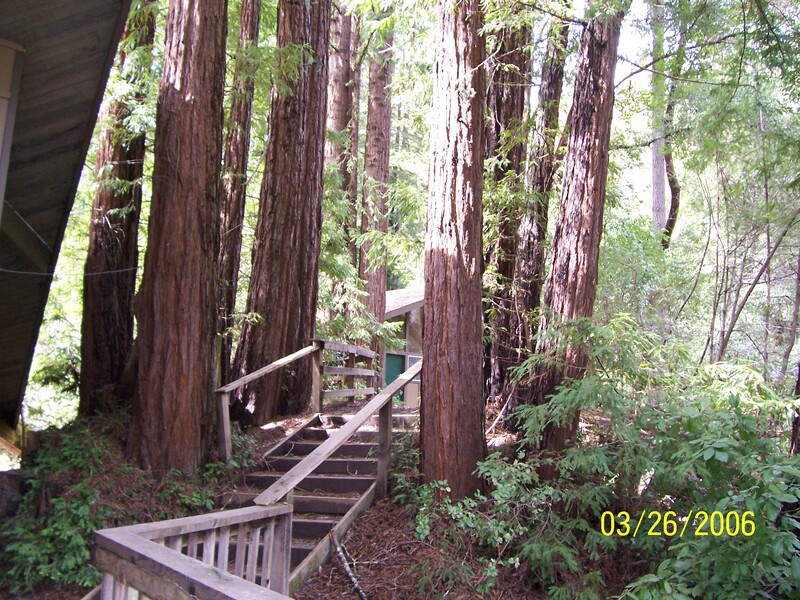 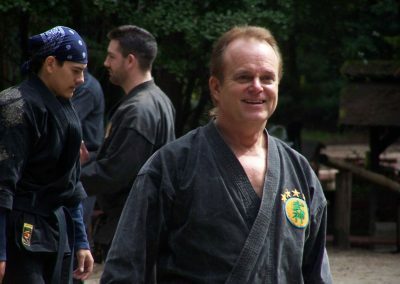 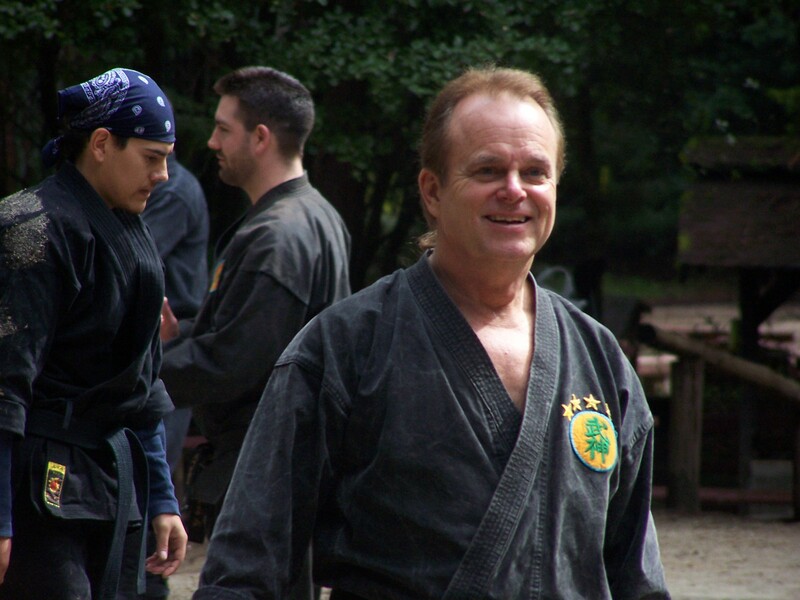 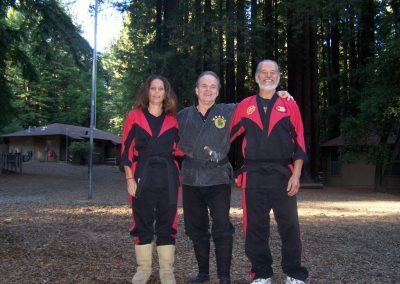 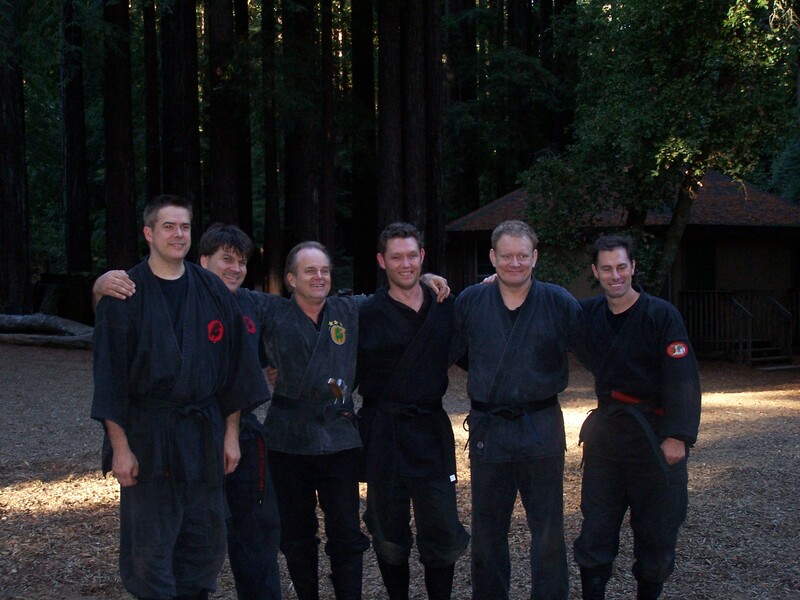 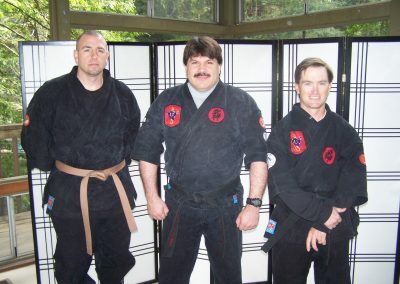 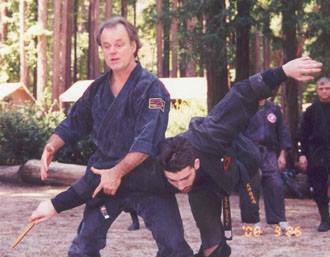 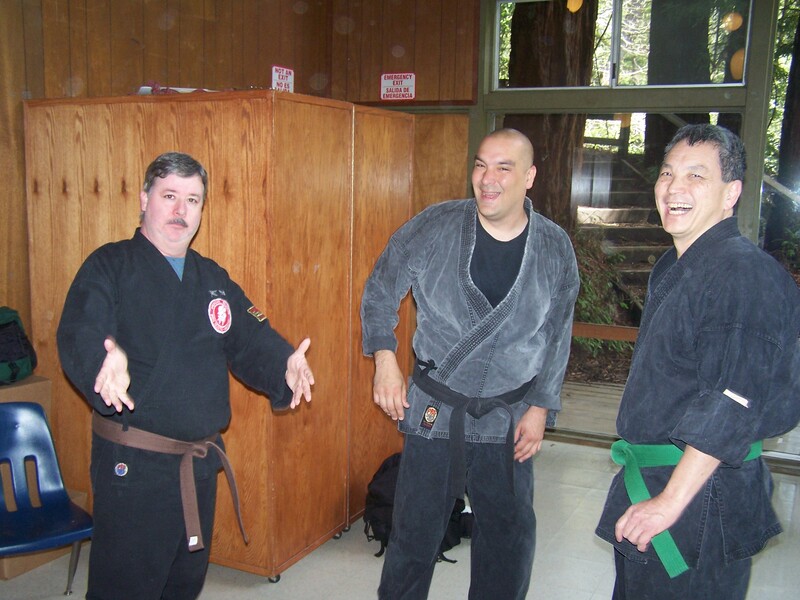 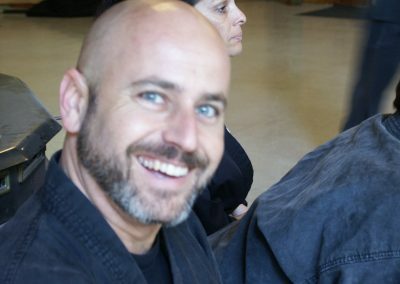 DaiShihan Richard Van Donk offers private deep dive weekend events that are limited to 5 to 7 people at his Northern California dojo. 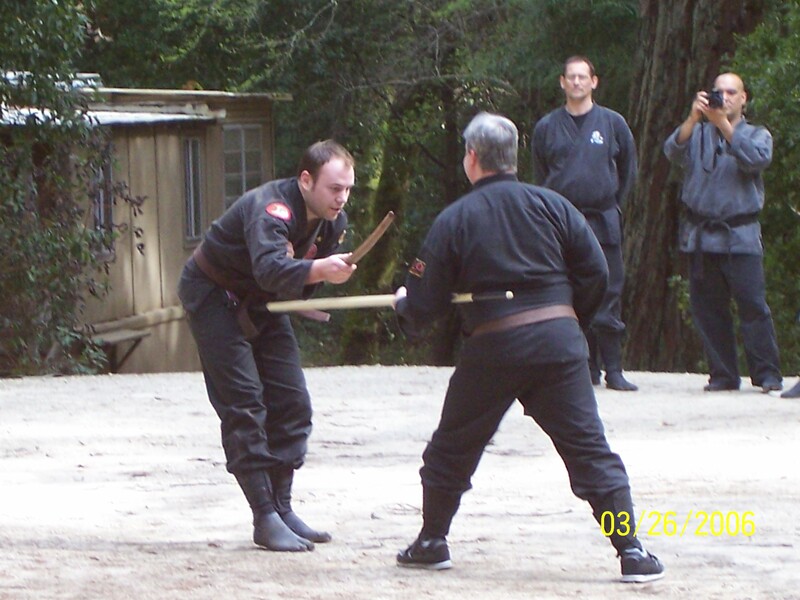 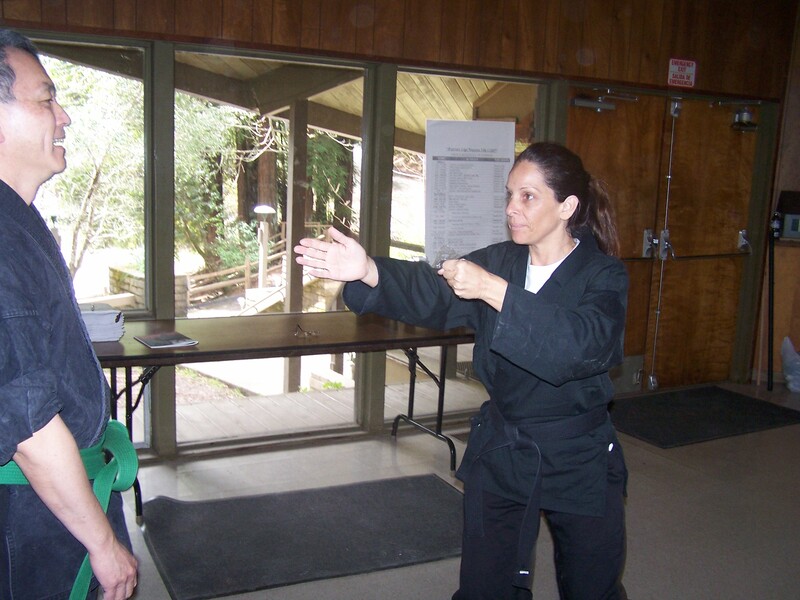 Sword – Meditation – Ninjutsu- Eskrima – DaoYin Empowerments. 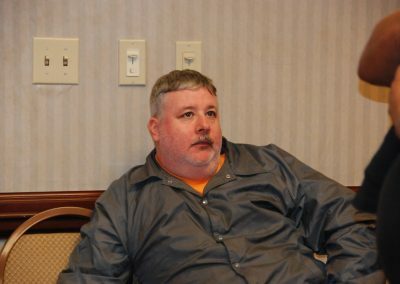 Or SKYPE Private Sessions where you can book a session with him by the hour. 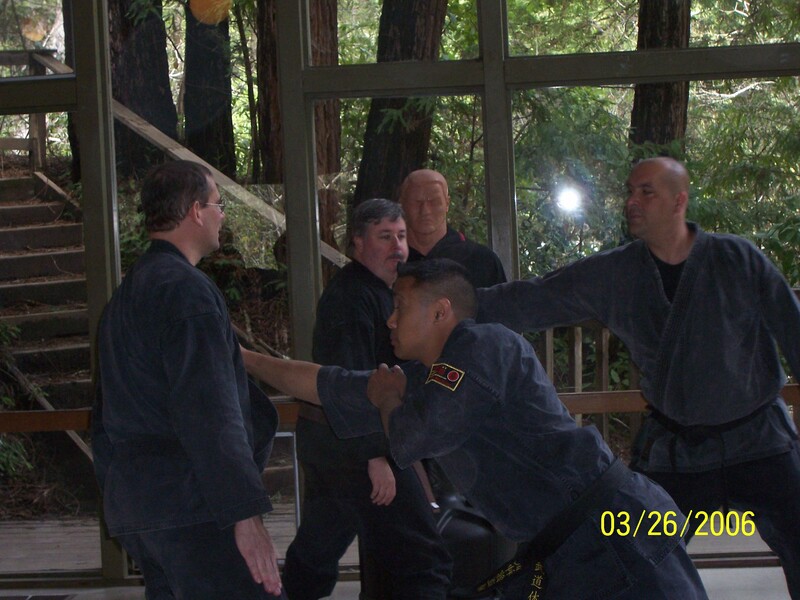 This can be for Taijutsu feedback, Martial Arts lessons, Spiritual Awakening or Life Enhancement. Or even business consulting. 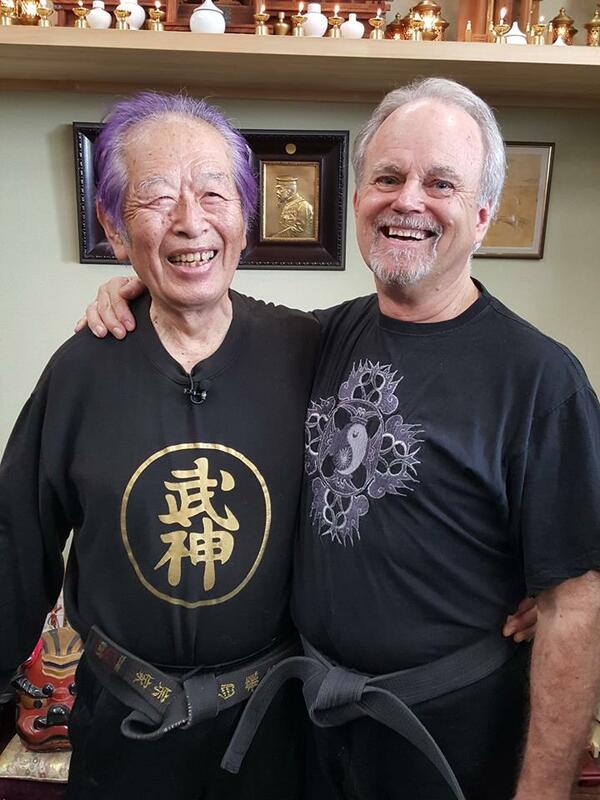 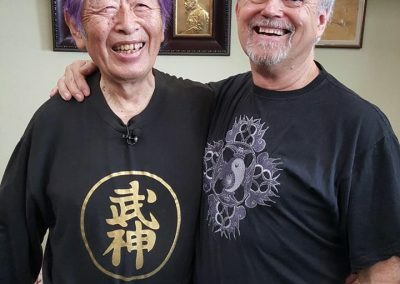 Richard loves helping others this is your chance to spend personal time being coached by a master that has traveled deep on this path. 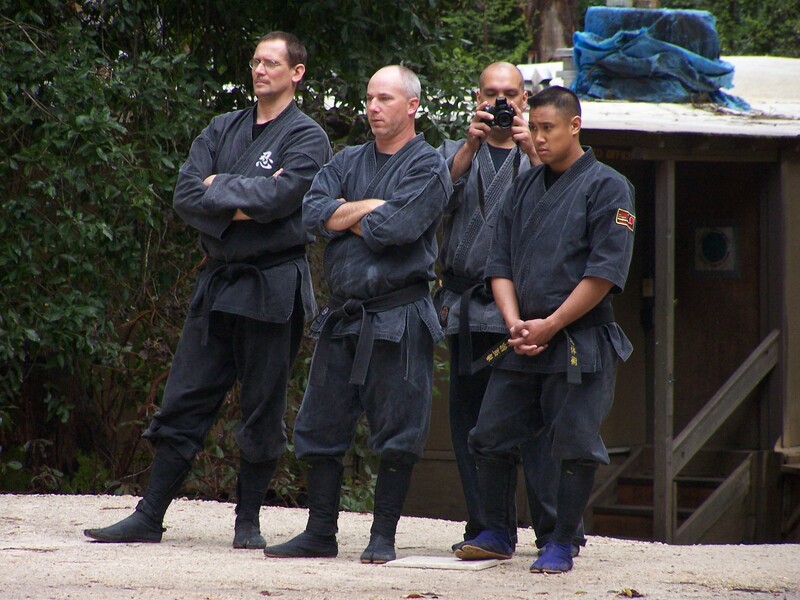 Contact Info@bushindo.com for more details.